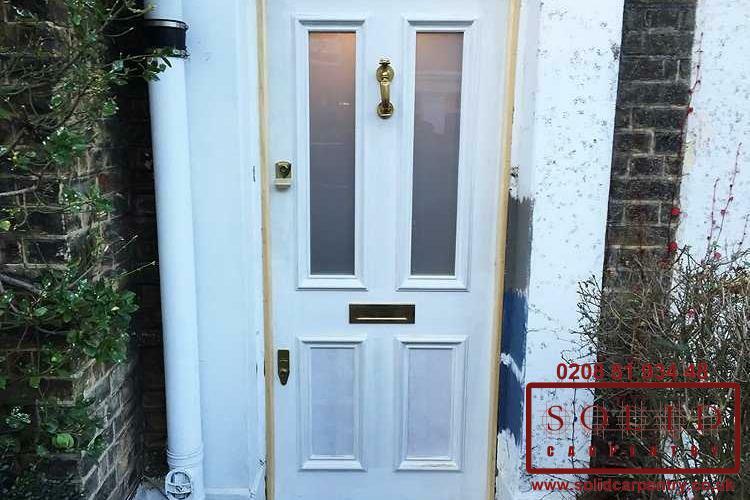 Are any of your front or interior doors badly damaged, rotten, draughty, or failing to meet current fire safety standards? 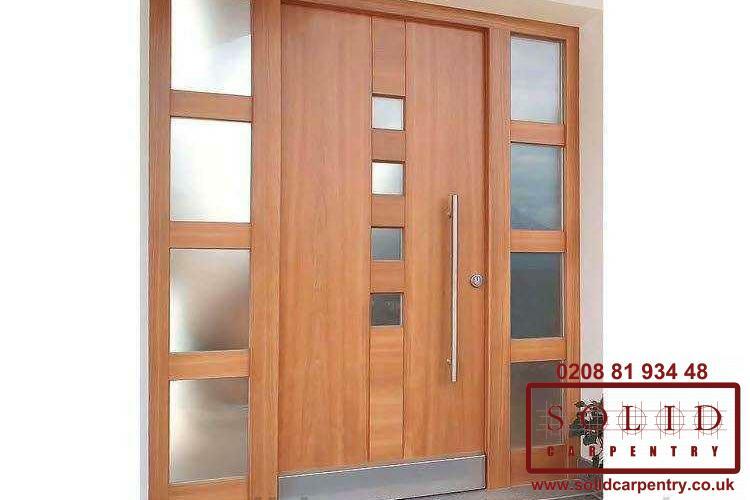 Are you simply looking for another style, or do want to increase their security features? 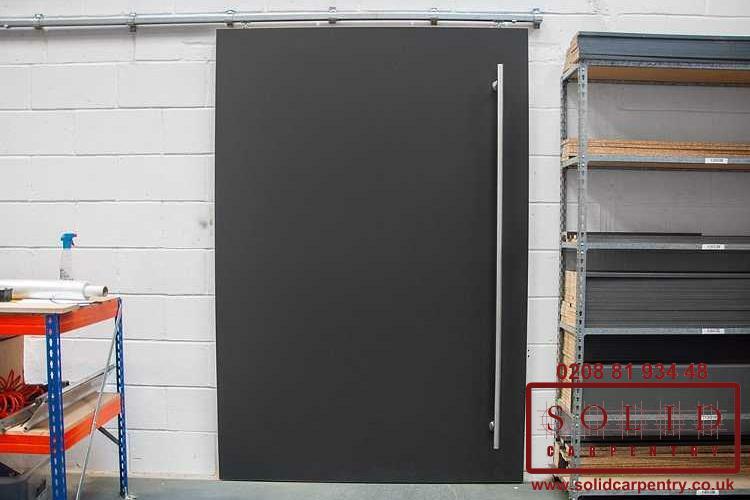 If you are considering upgrading one or more doors then it's high time to hire experts in professional door installation. 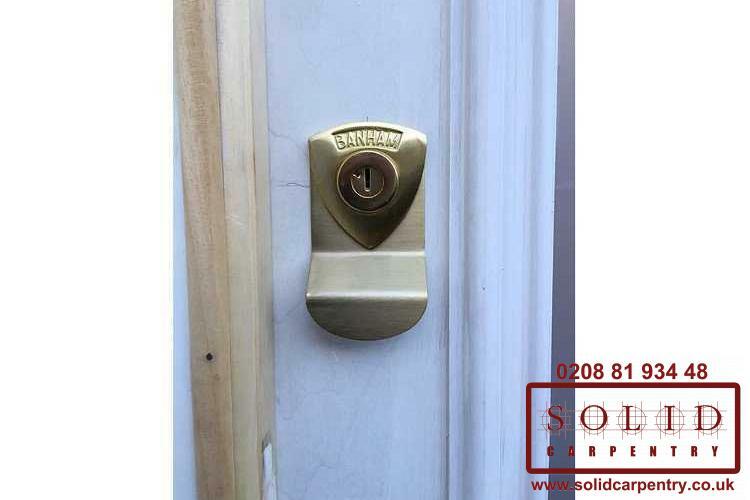 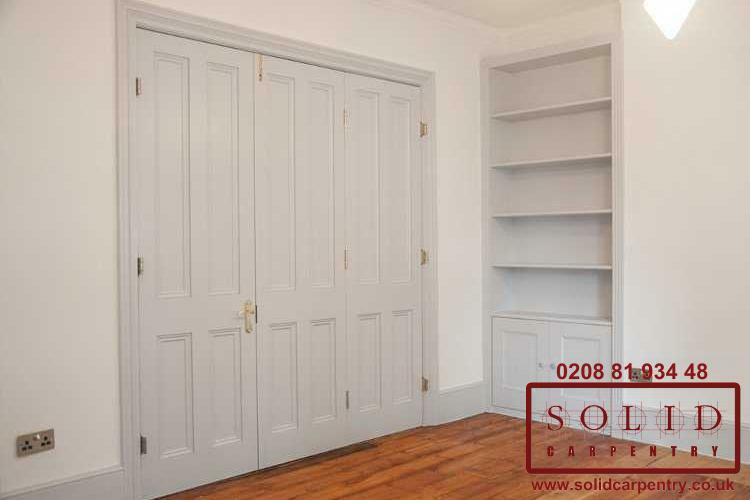 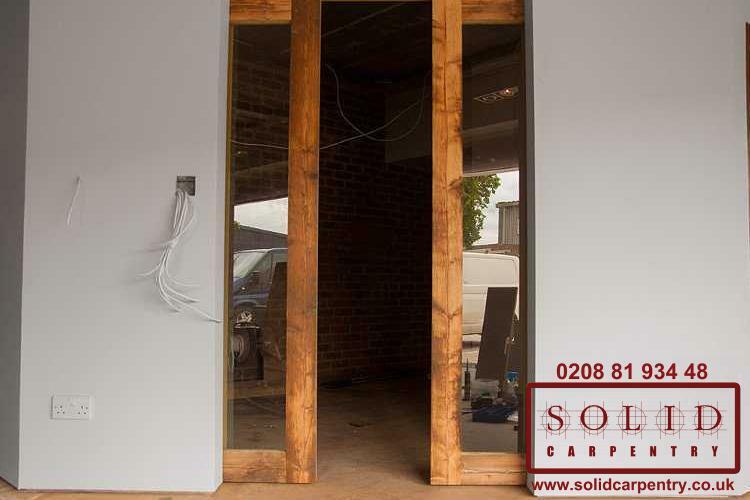 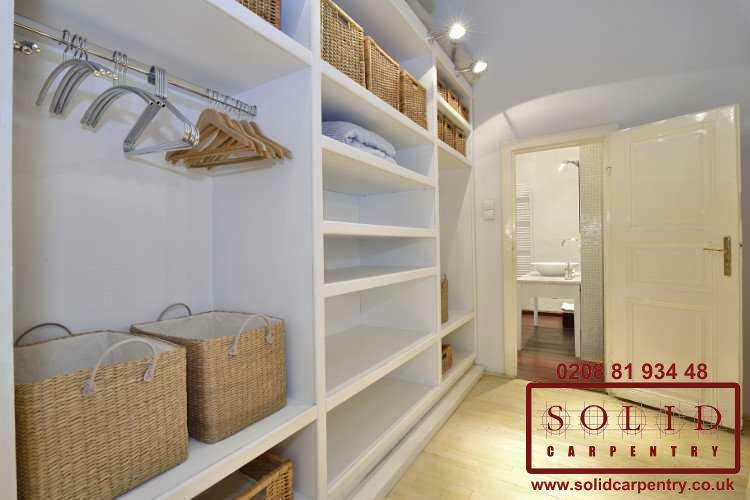 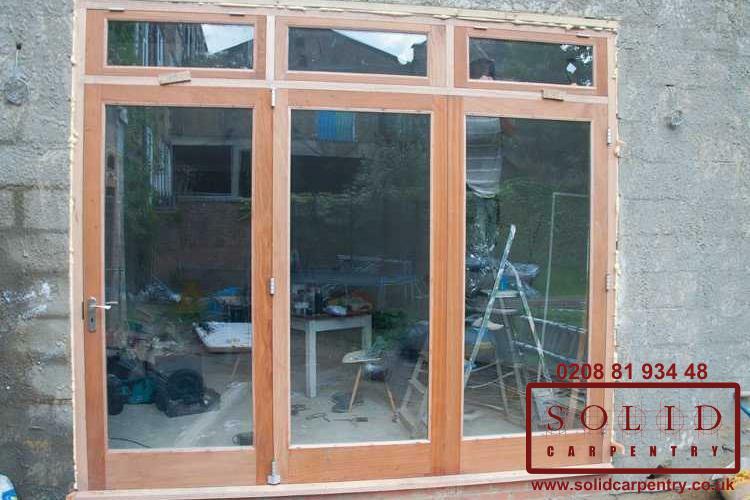 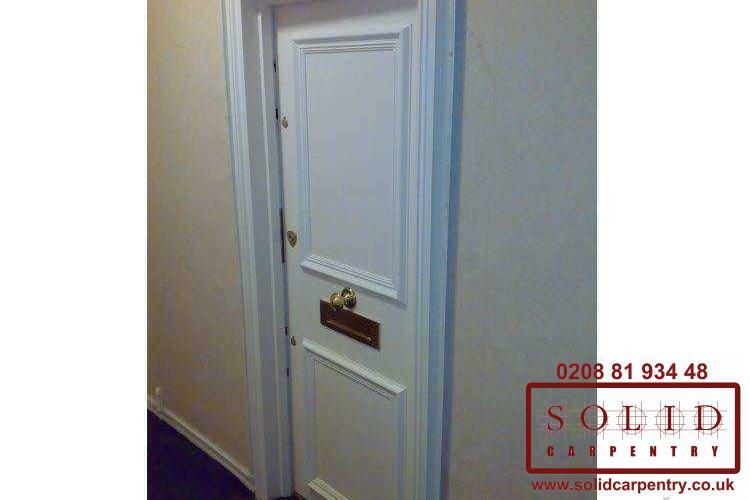 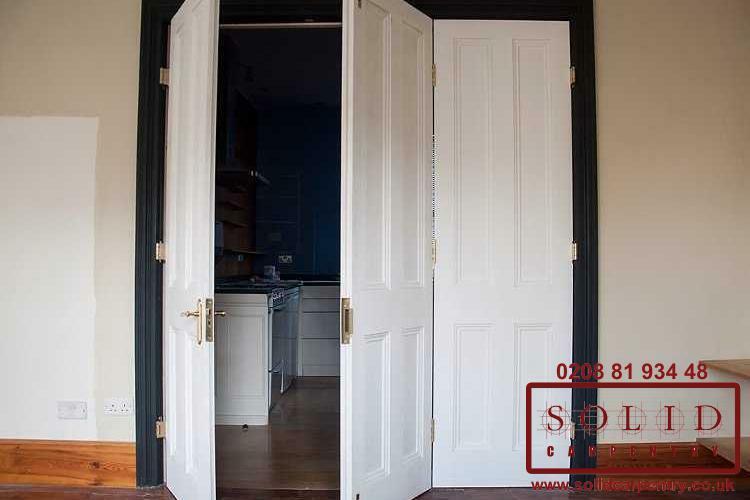 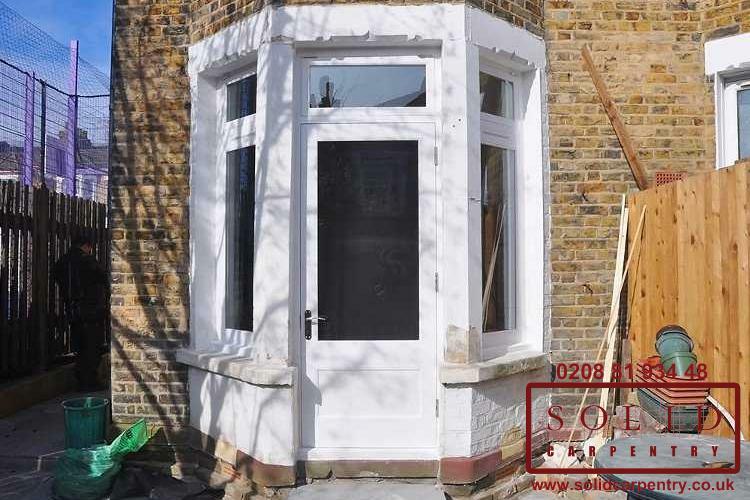 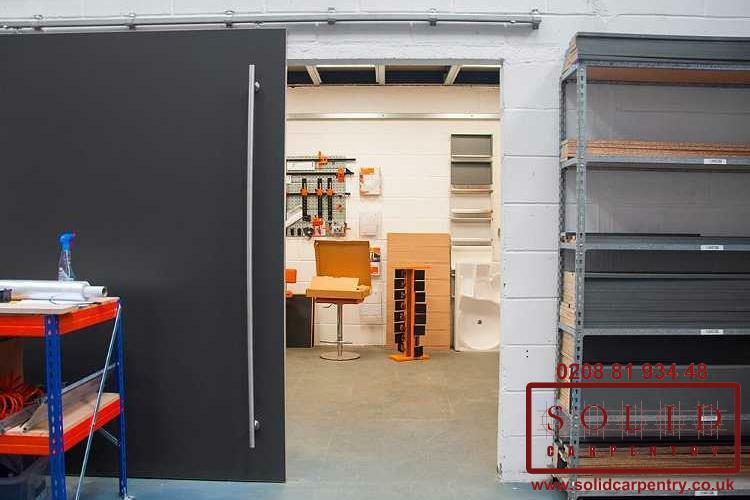 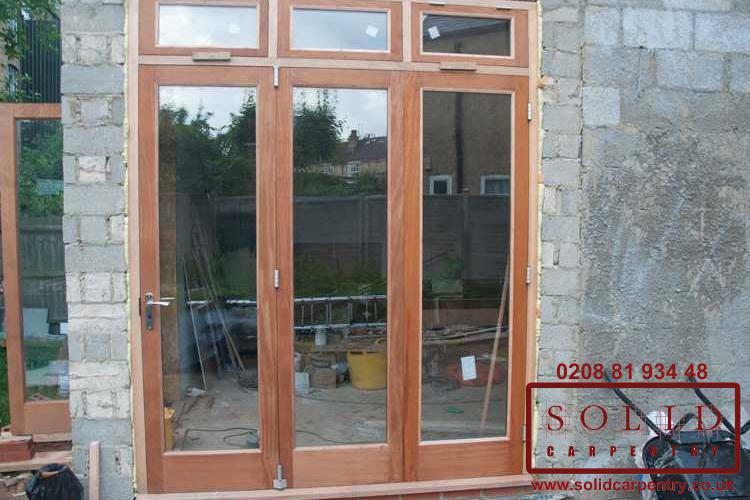 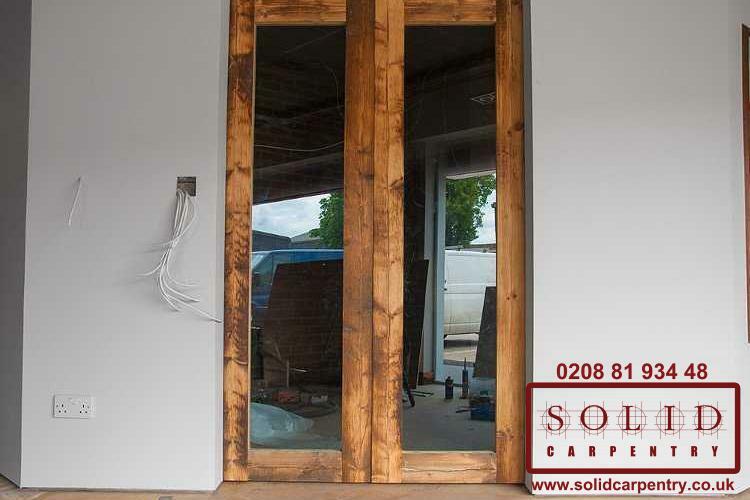 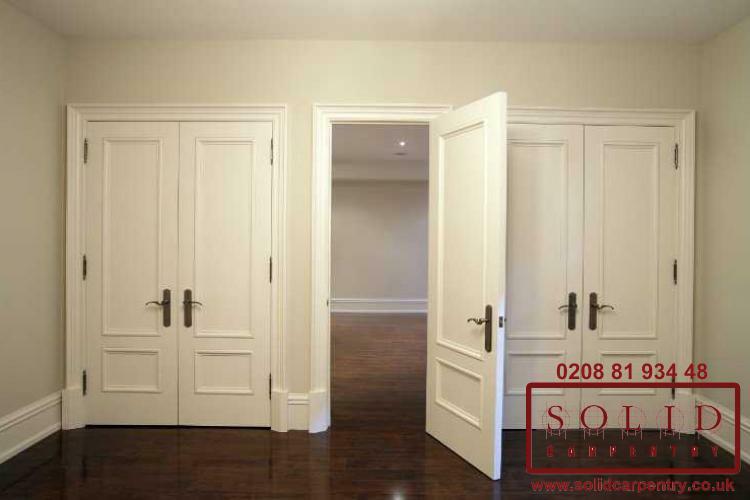 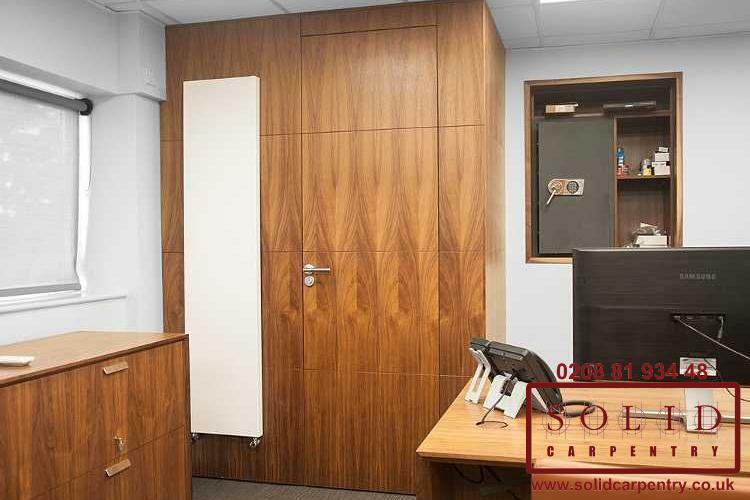 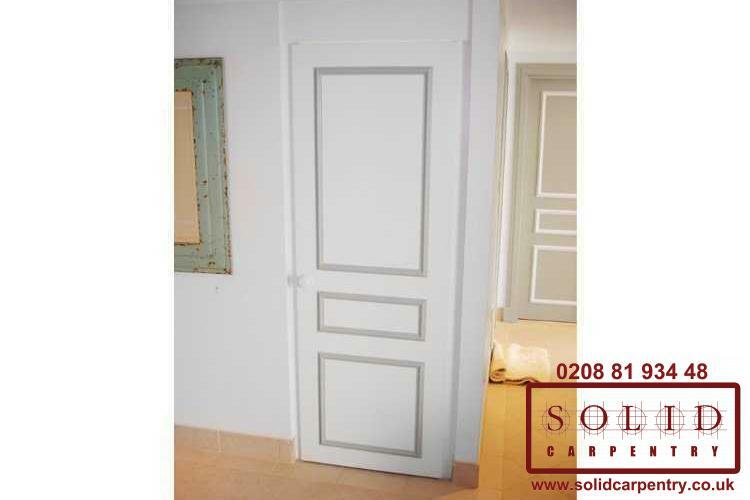 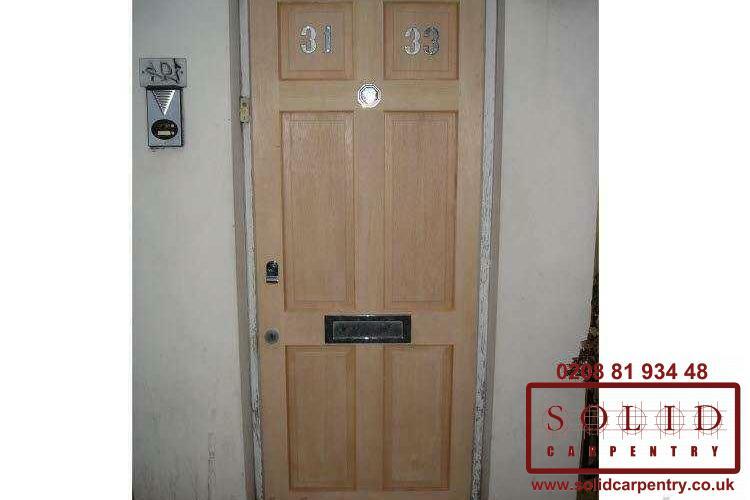 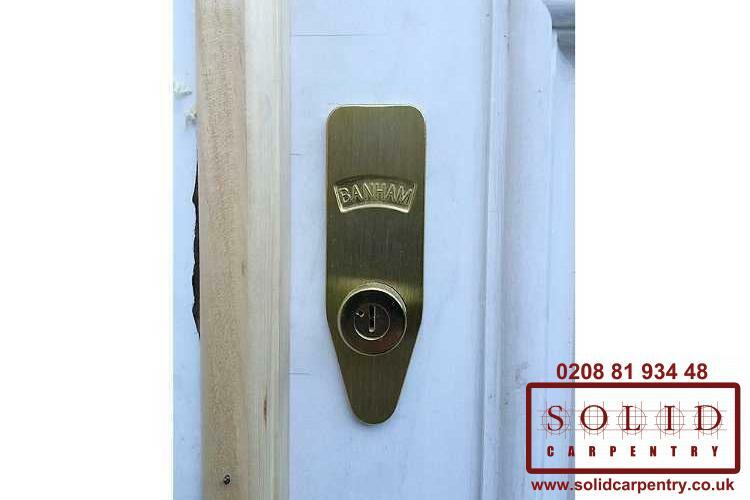 At Solid Carpentry, we can help you install appropriate wooden doors, handles and hinges. 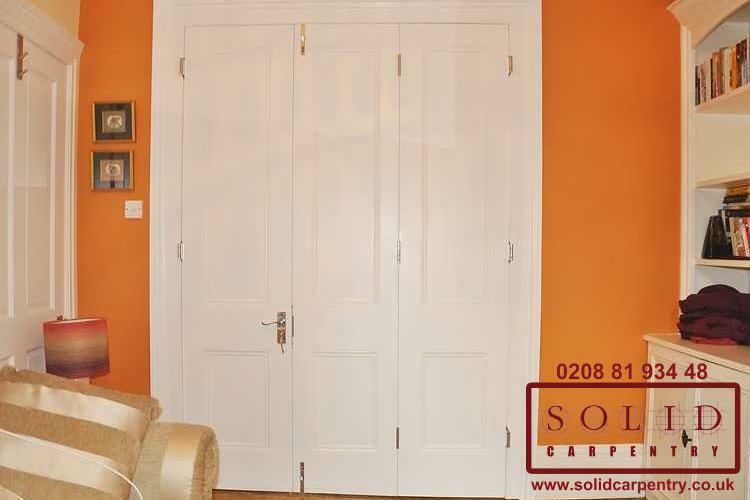 If a standard size door won't work for you, then we can provide a made to measure door and frame in a material of your choice that will fit perfectly and complement the design and décor of your room, whether it is a living room, bedroom, or kitchen door. 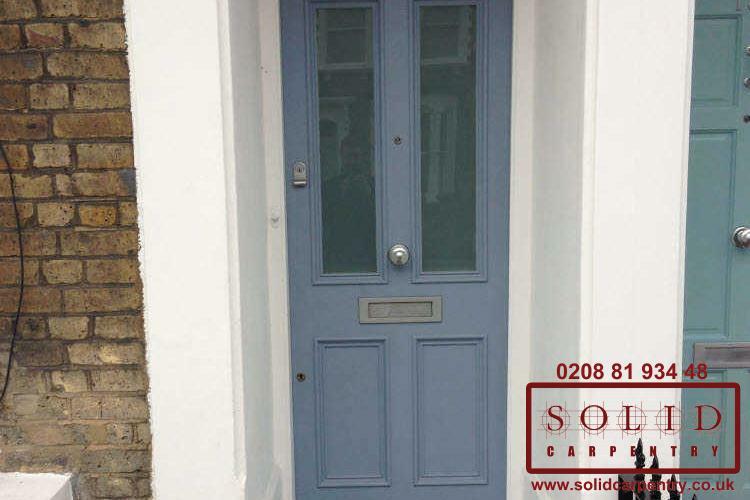 For exterior, front entrance doors, we can ensure it has the latest security features and is made to withstand all weathers and last for years to come. 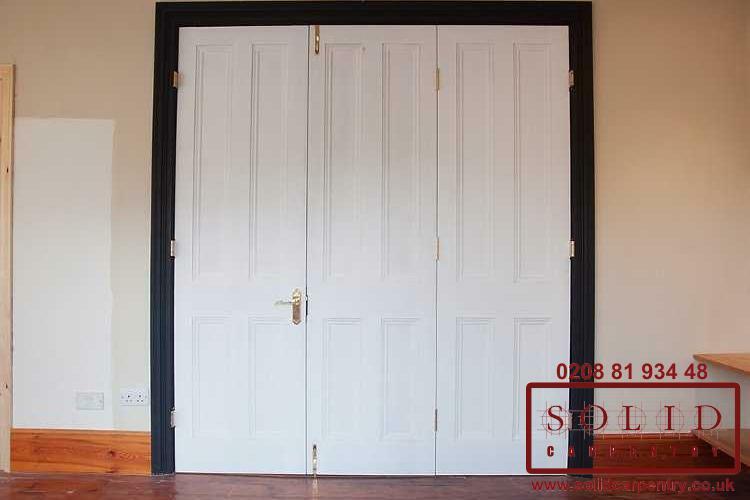 Wooden doors can be crafted from a range of materials and finished in a paint, stain or varnish of your choosing. 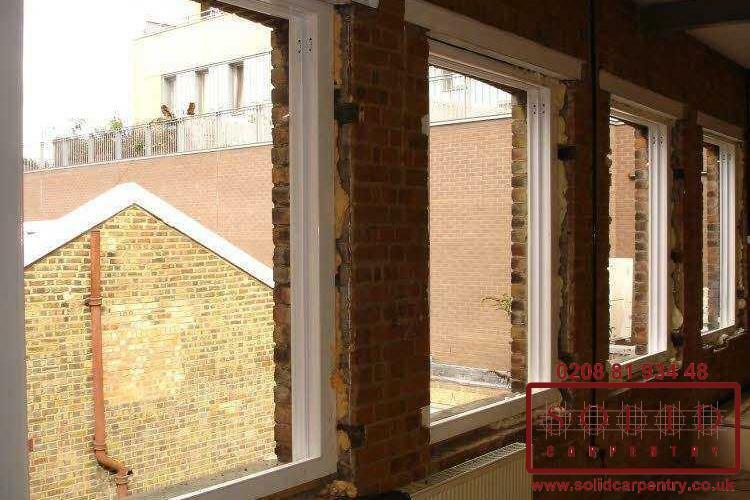 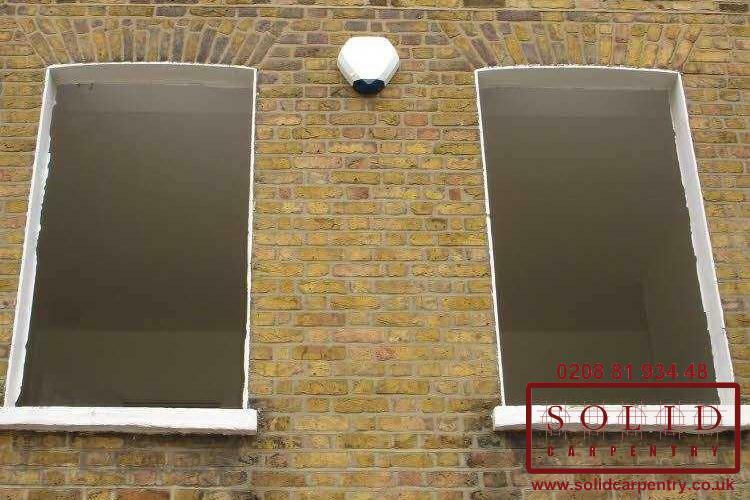 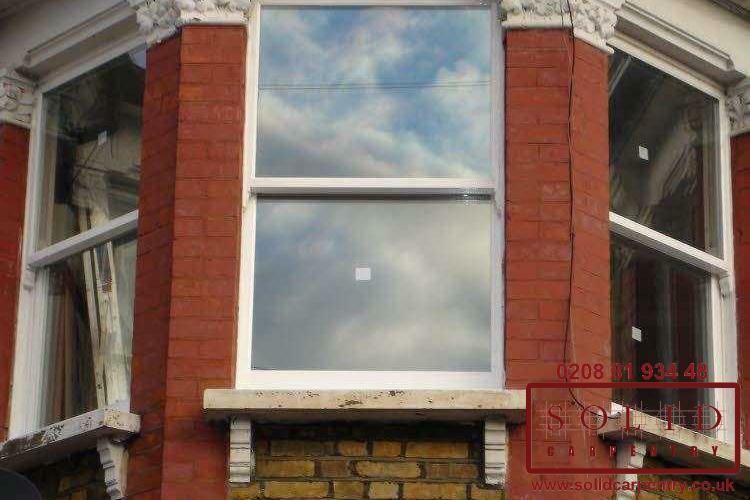 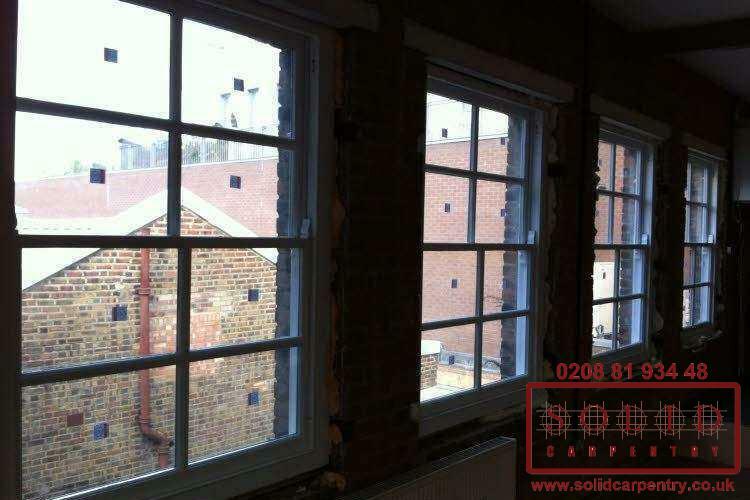 We can also incorporate windows to filter light into the property. 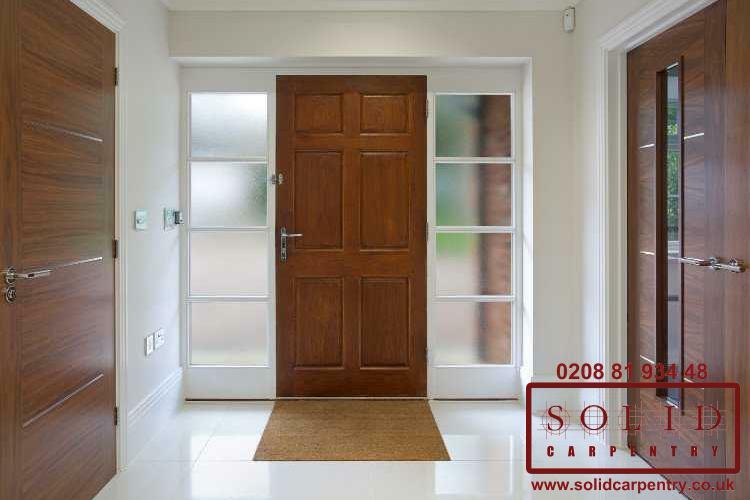 Thanks to our team of highly skilled specialists, we can design and install any style of interior or front door you’ve always desired! 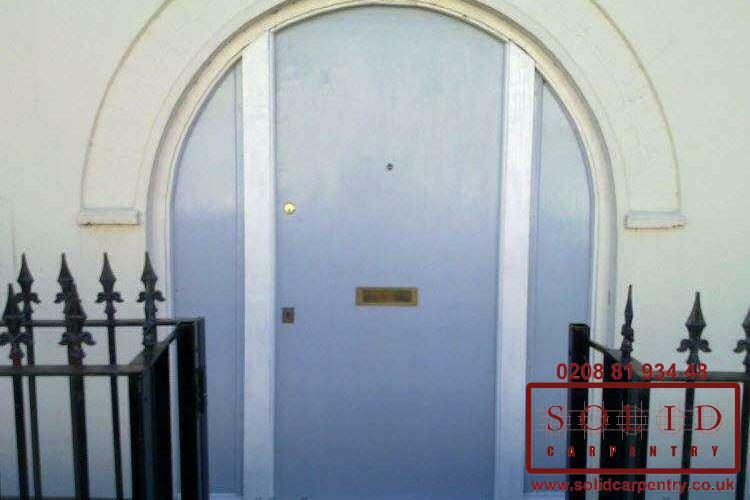 Don’t forget to take a look at our portfolio to see examples of our work repairing, refurbishing and installing doors in and around London. 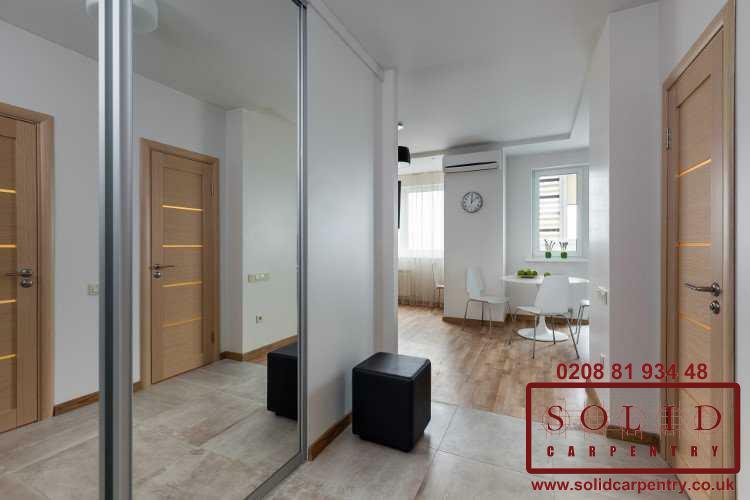 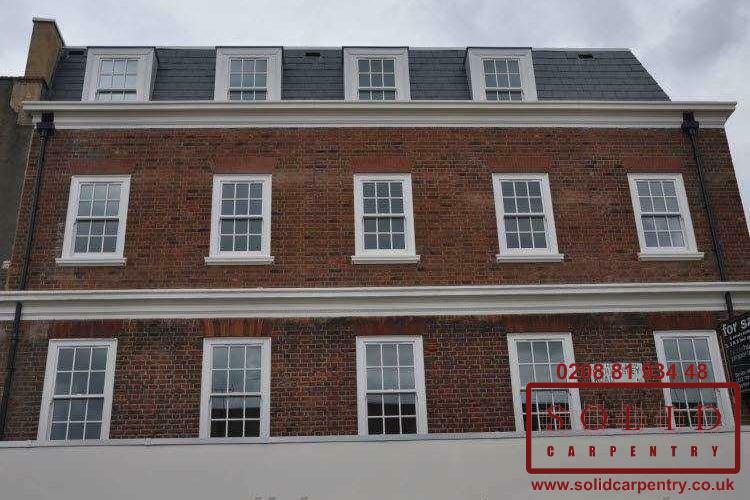 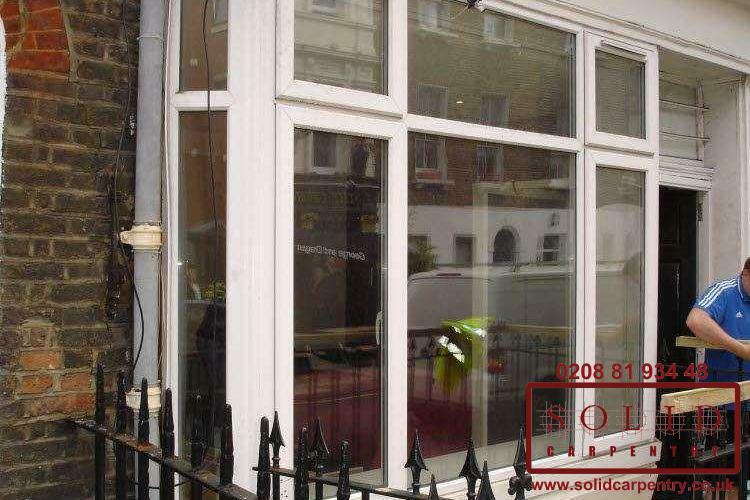 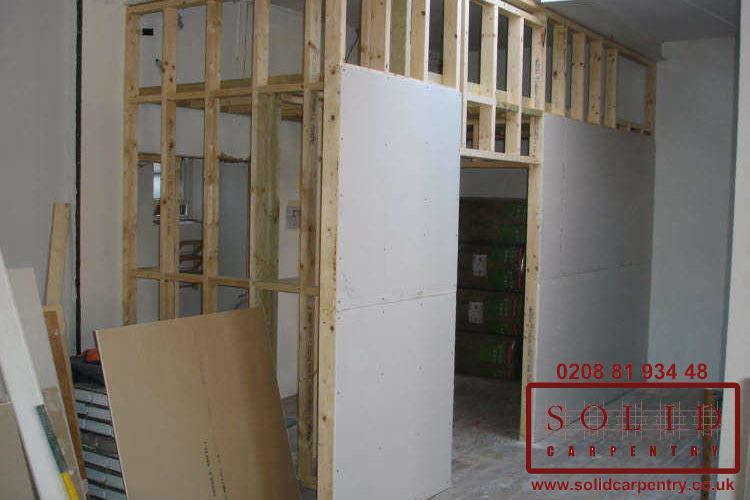 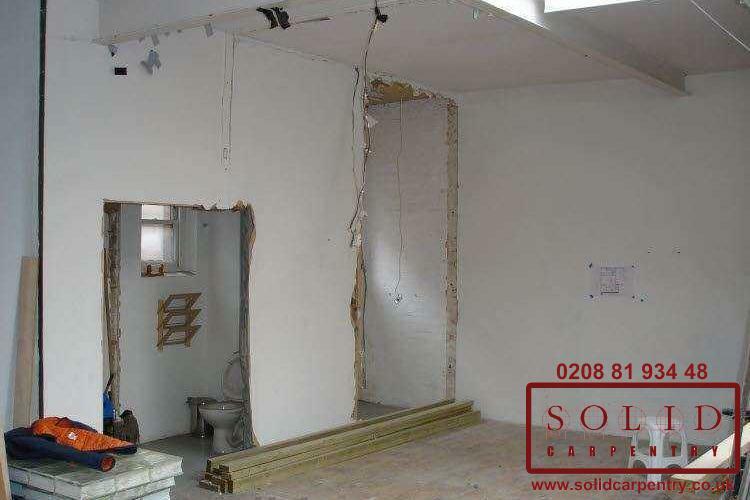 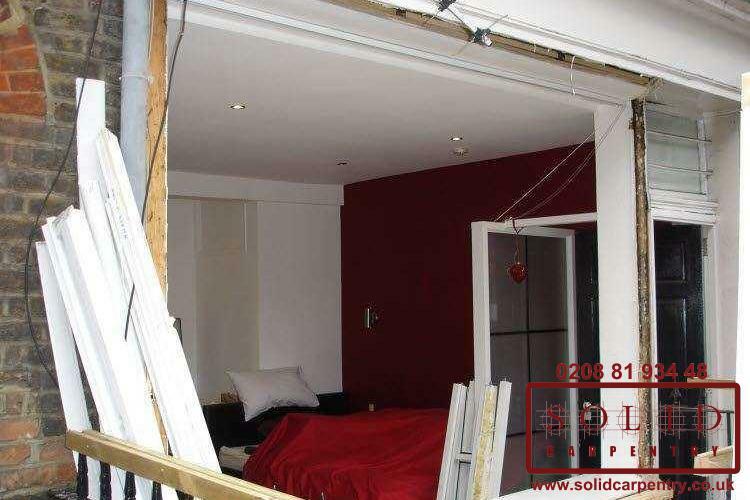 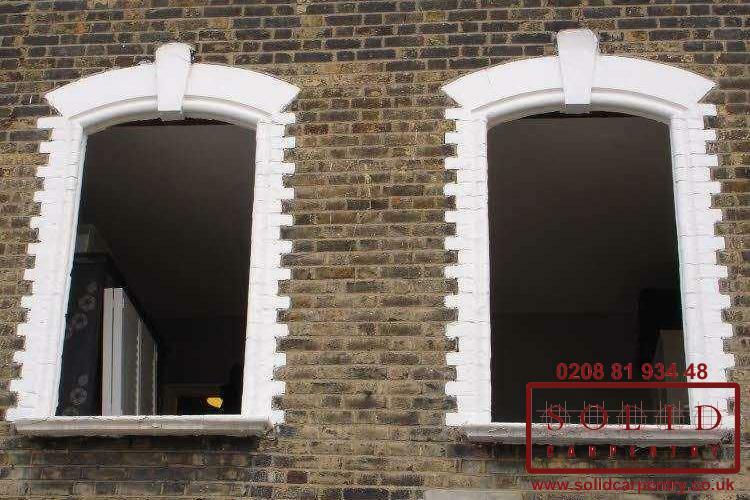 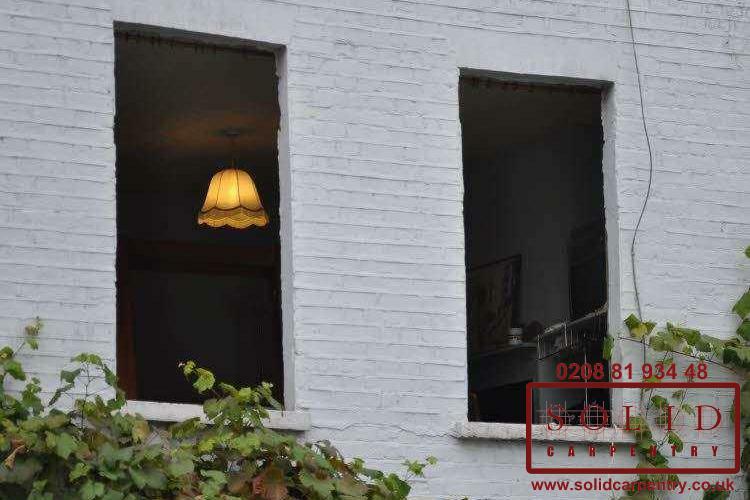 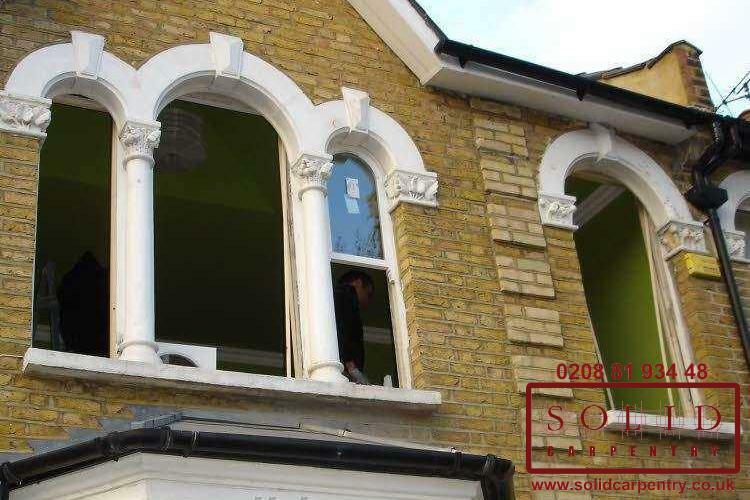 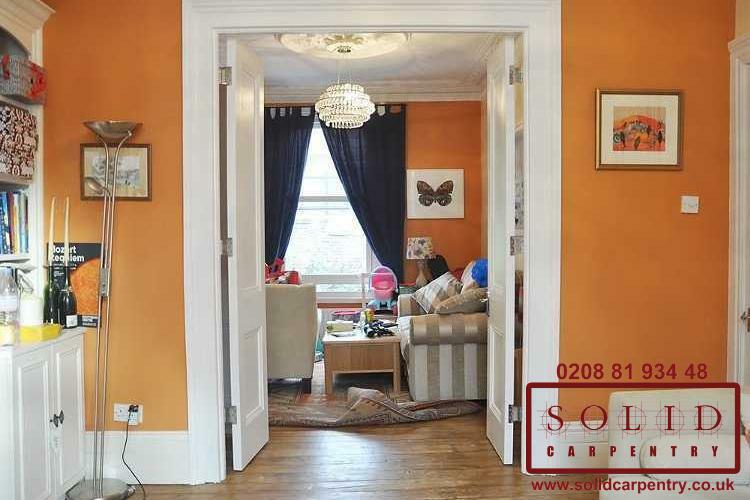 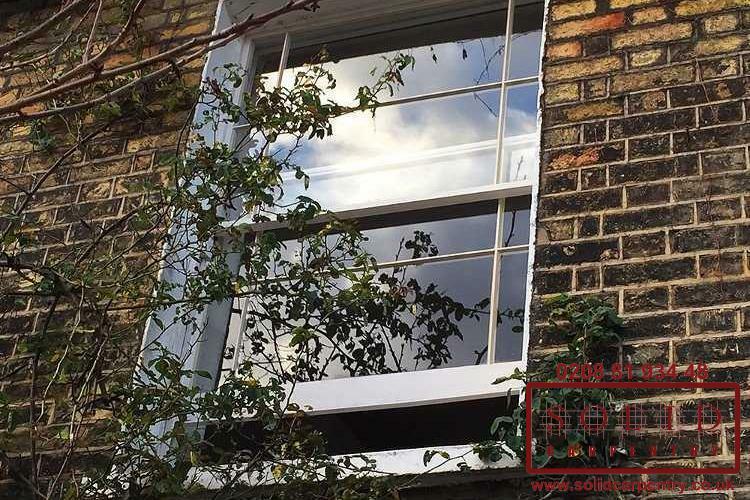 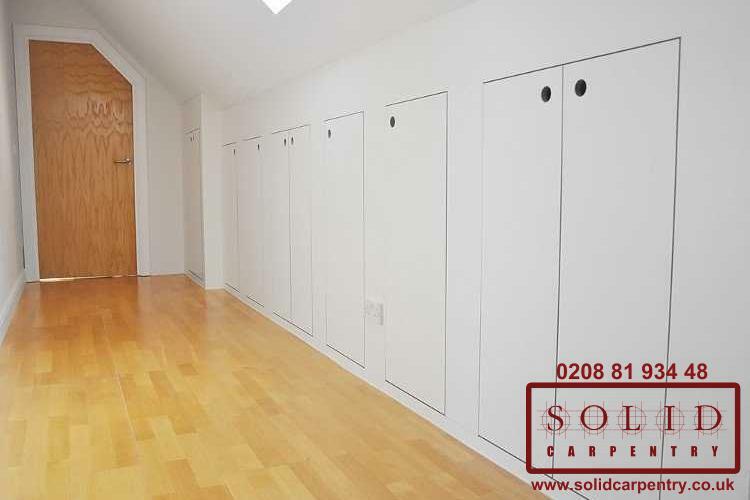 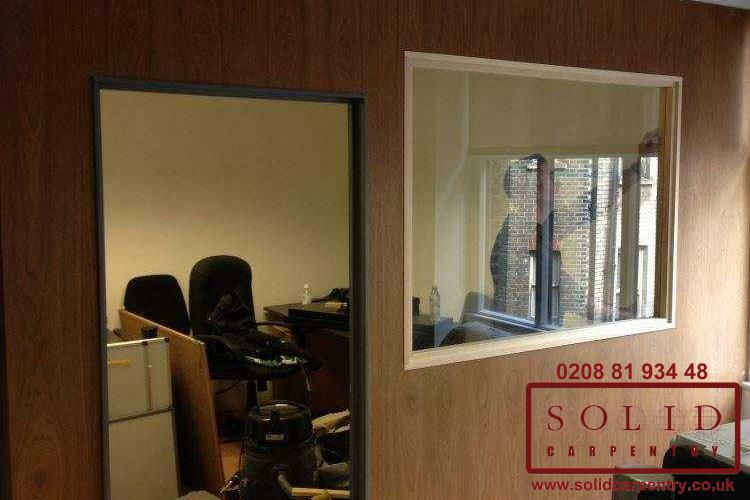 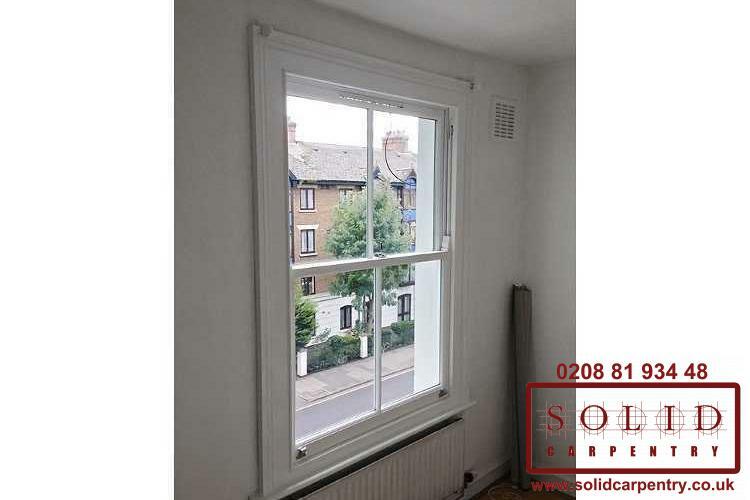 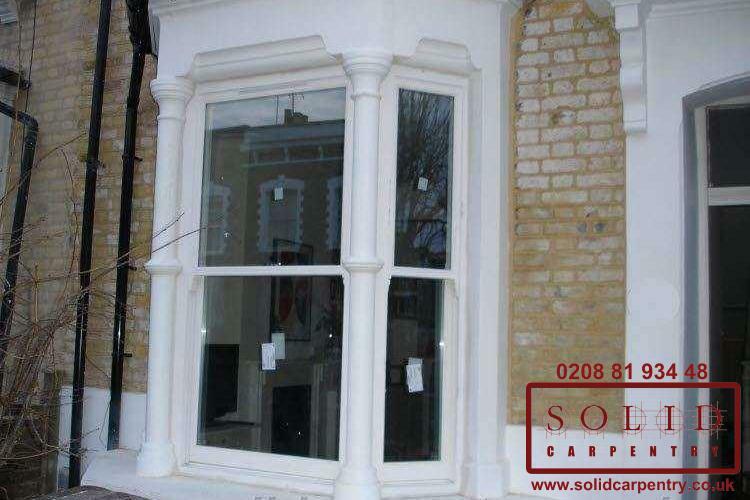 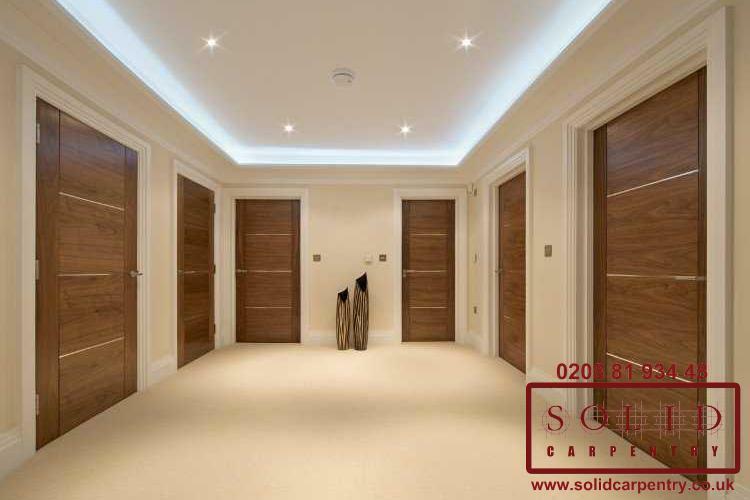 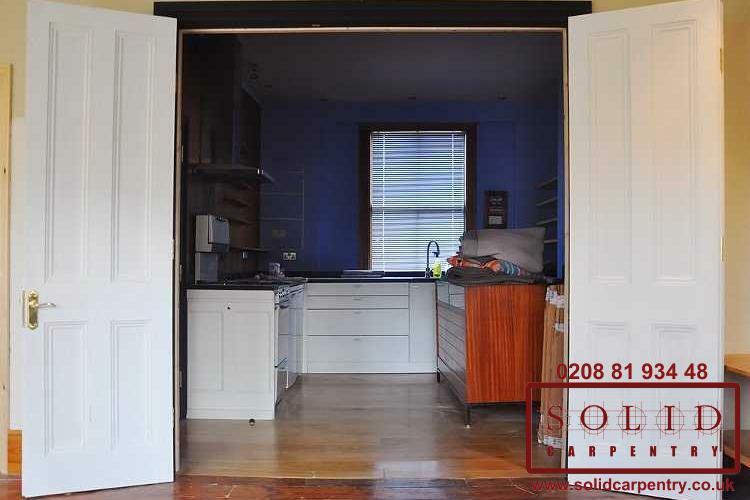 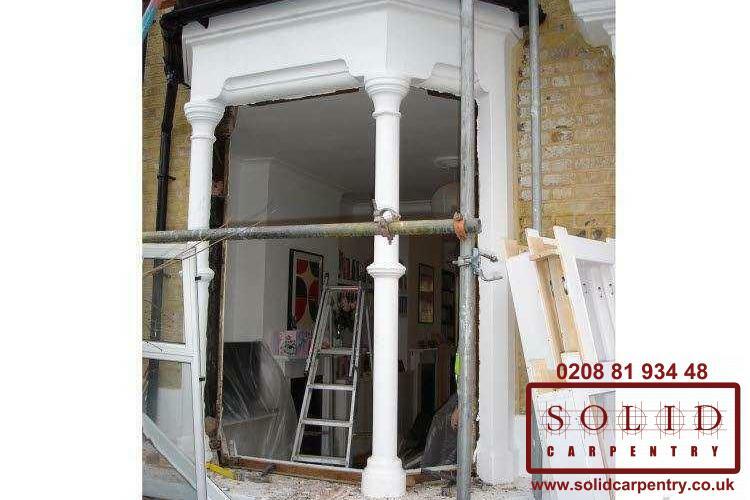 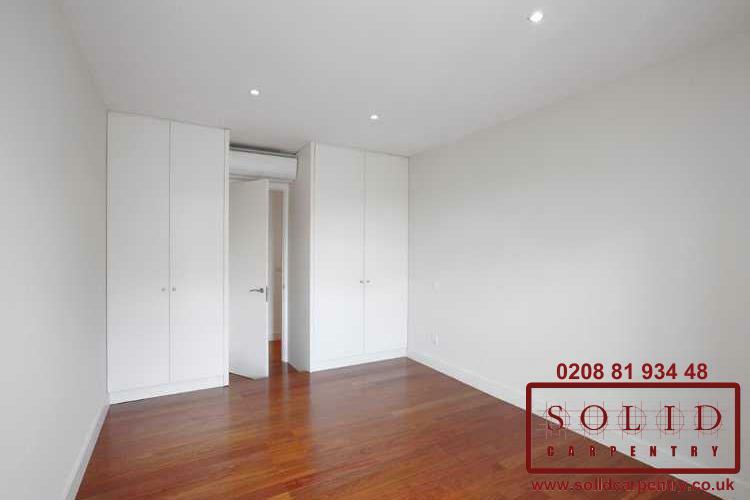 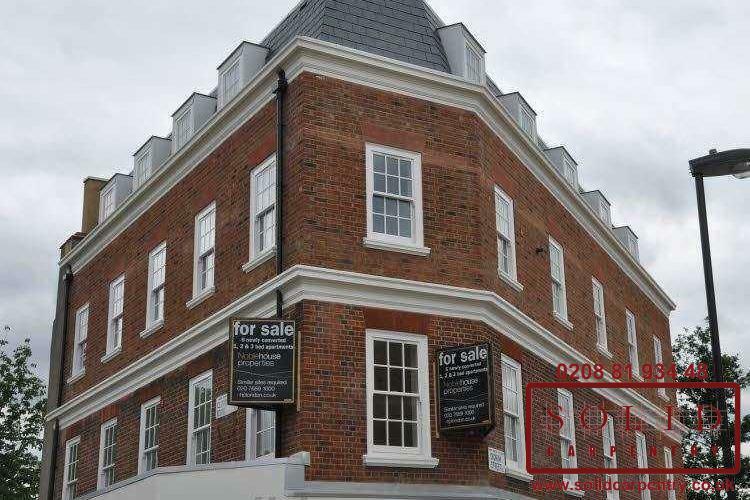 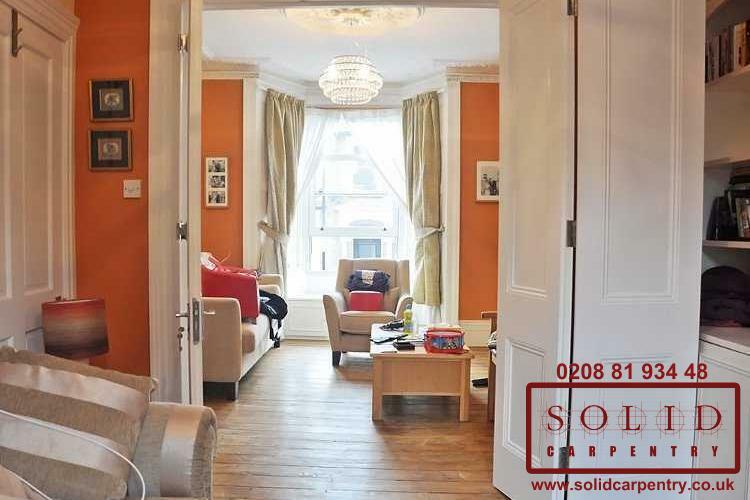 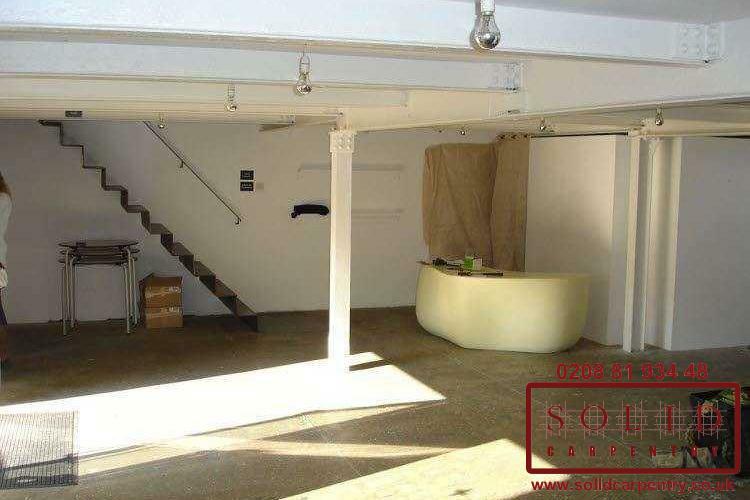 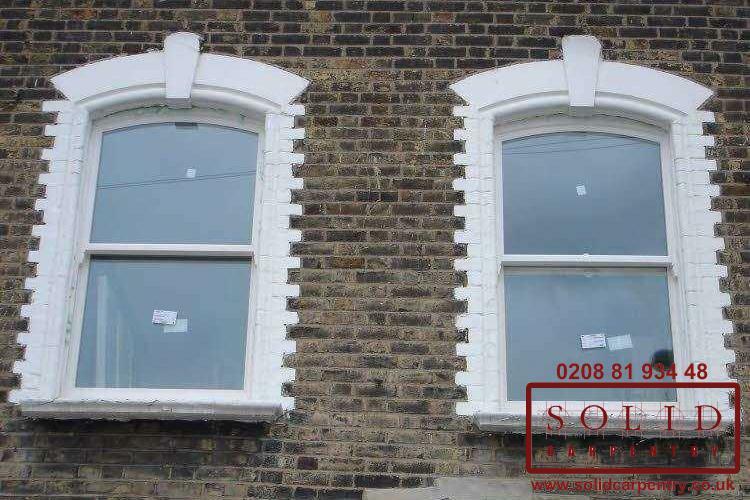 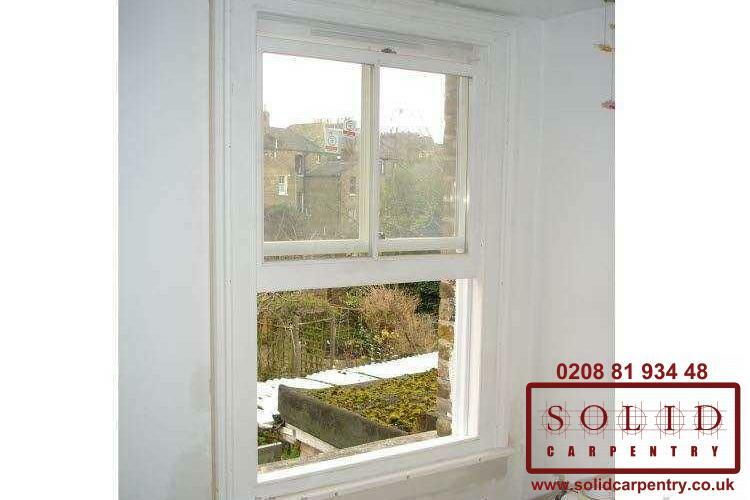 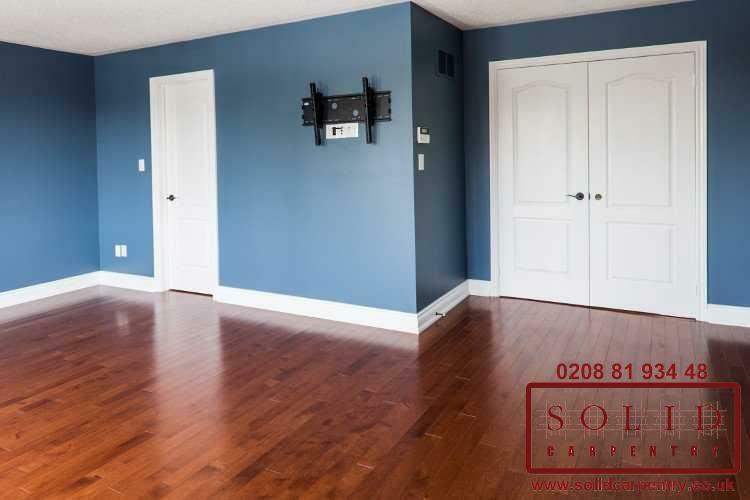 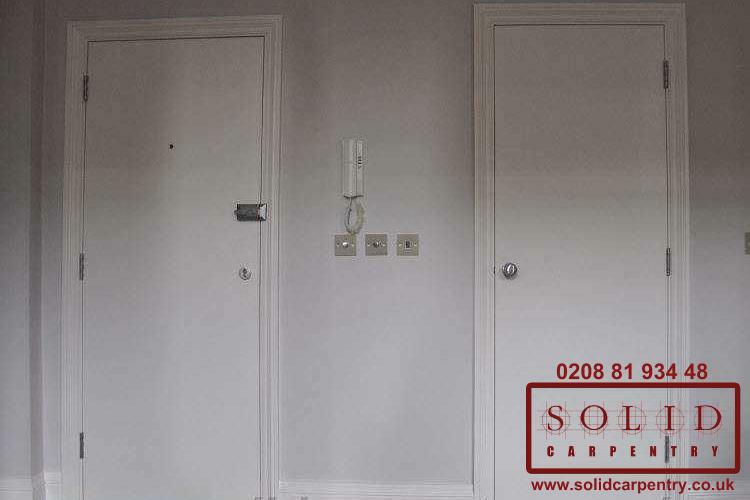 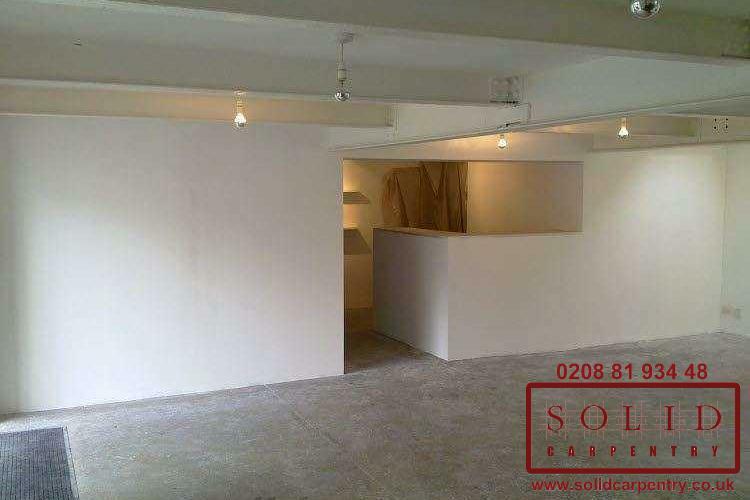 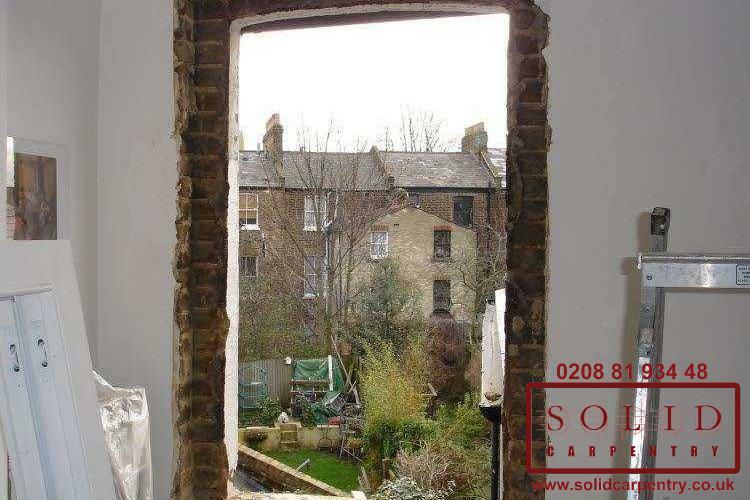 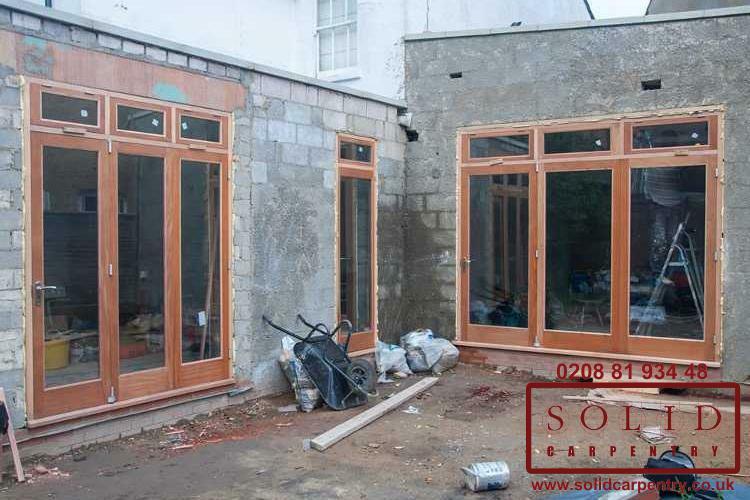 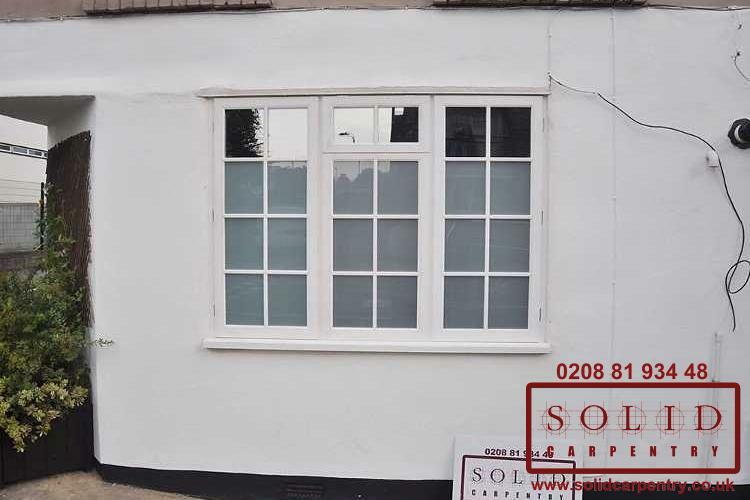 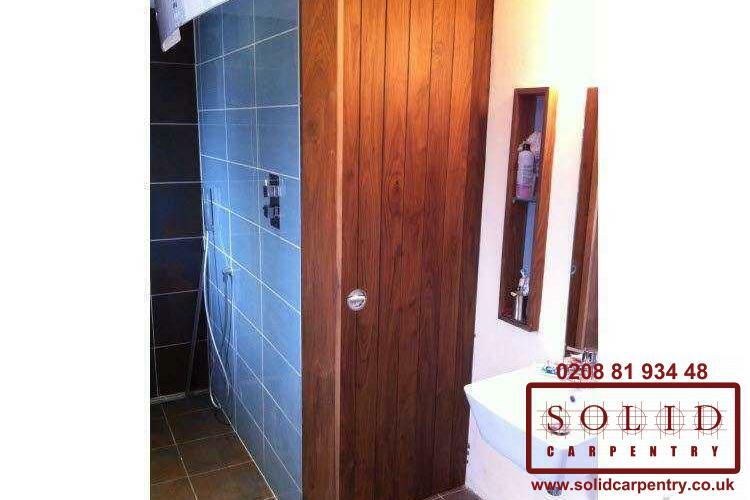 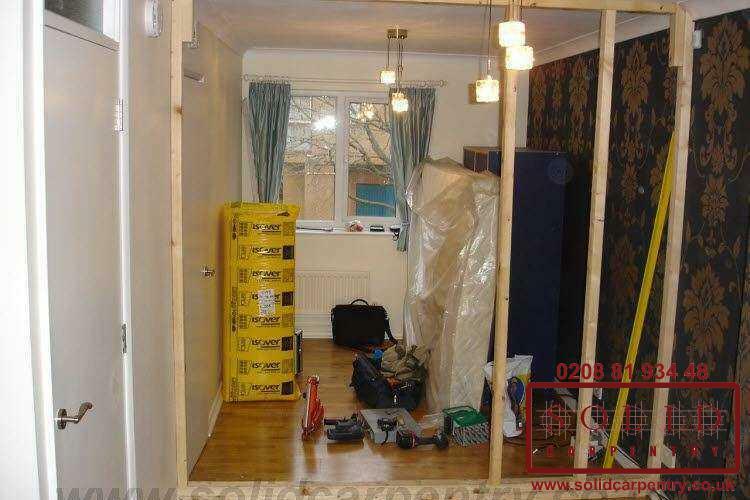 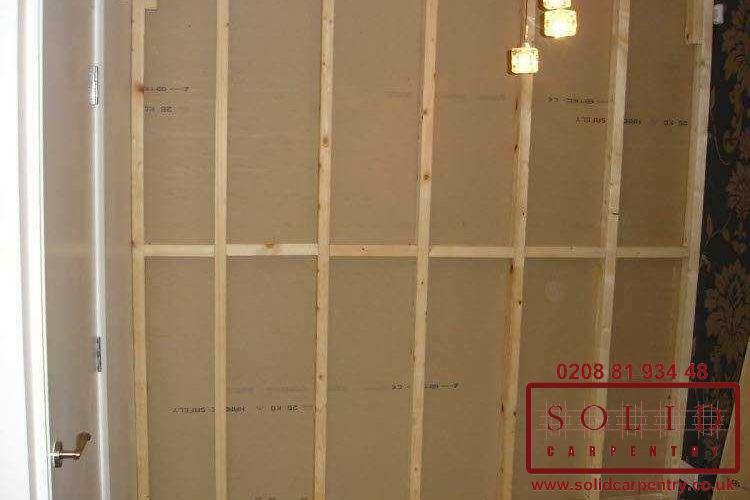 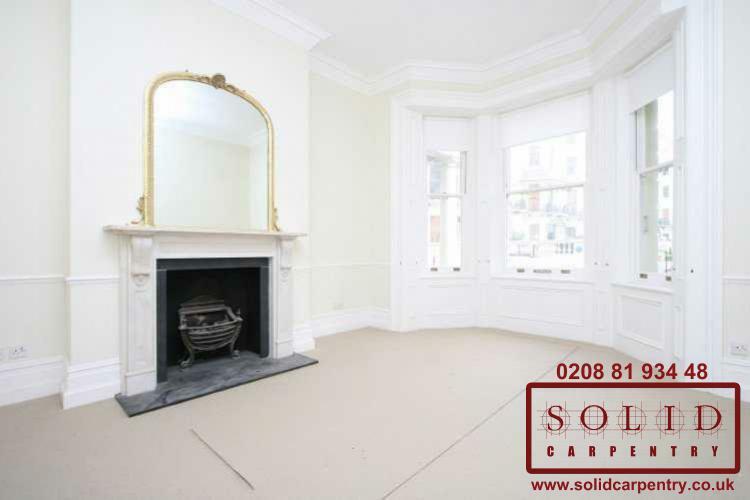 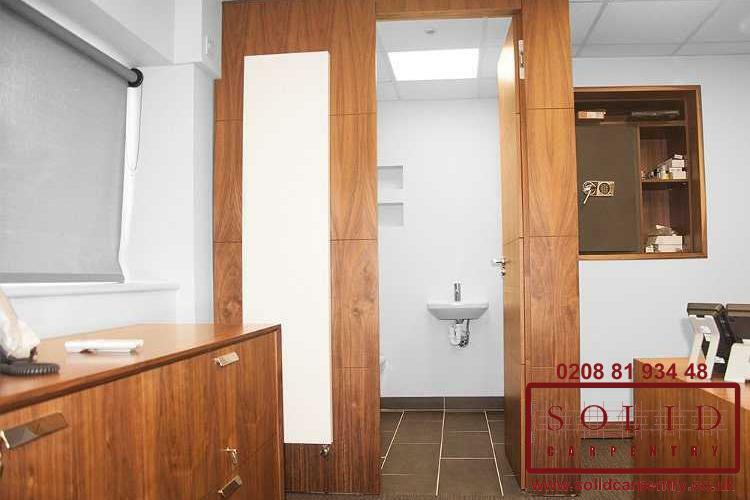 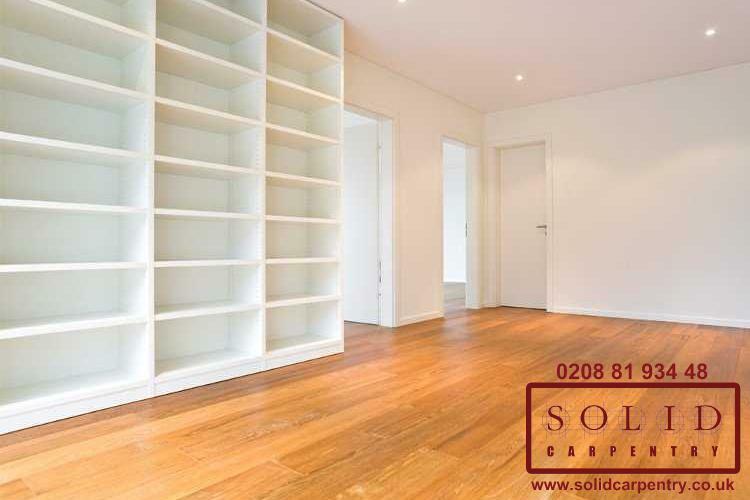 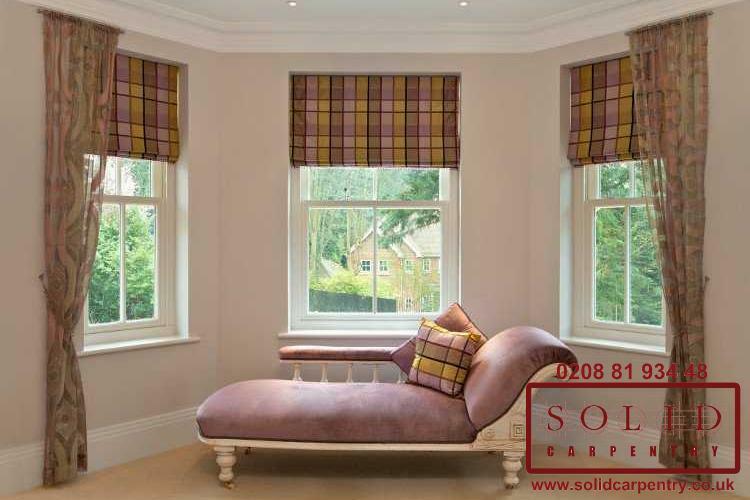 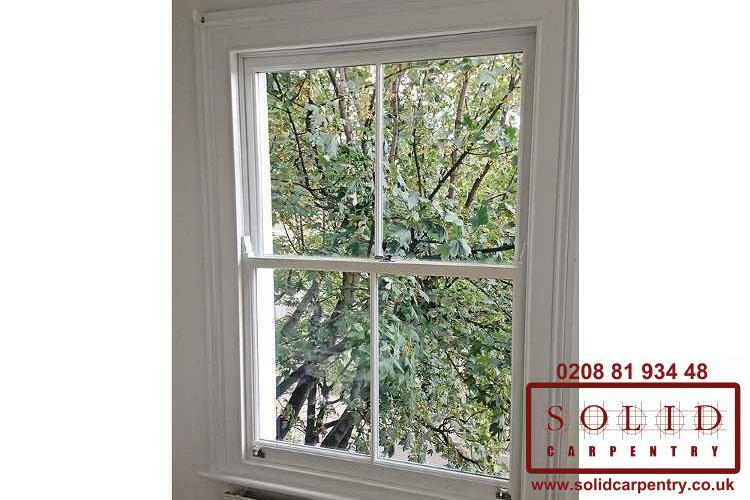 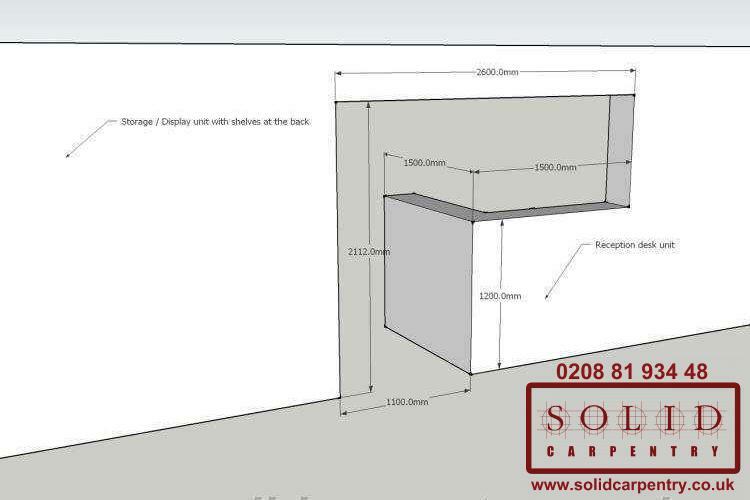 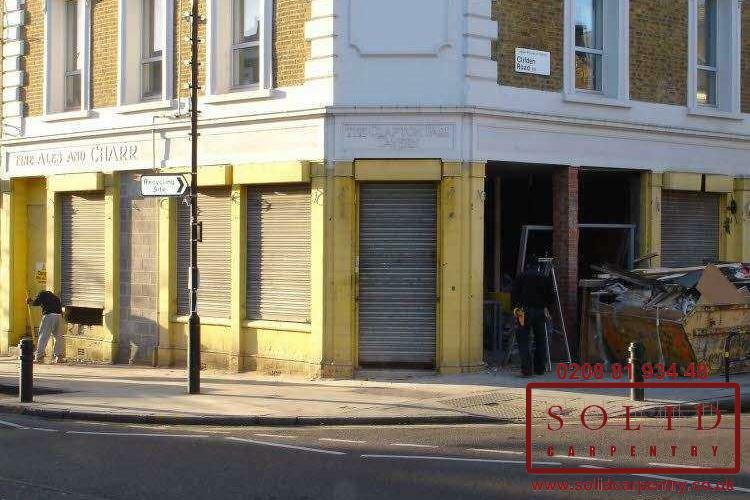 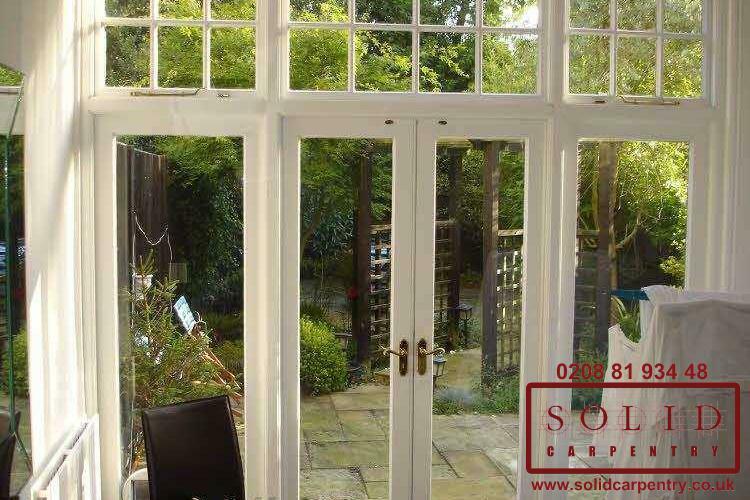 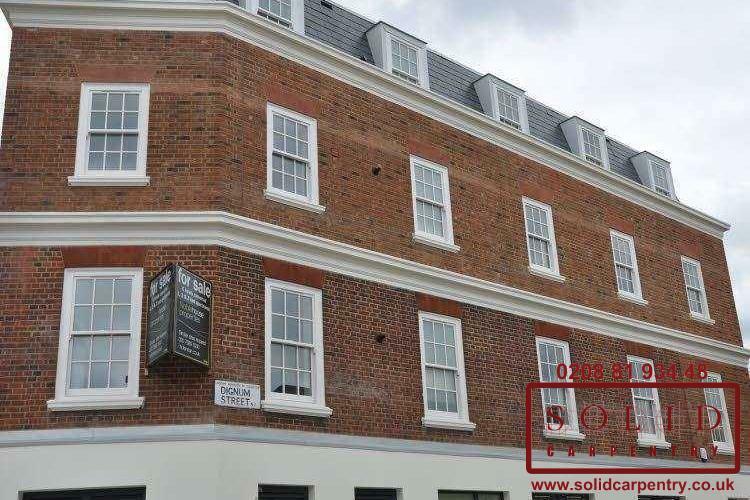 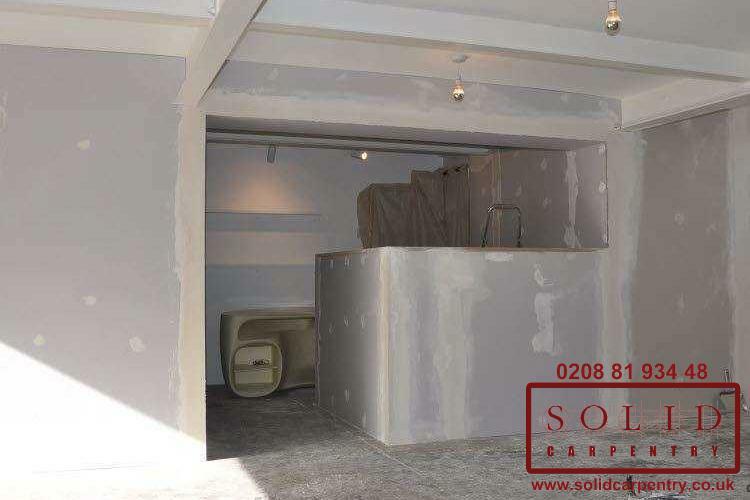 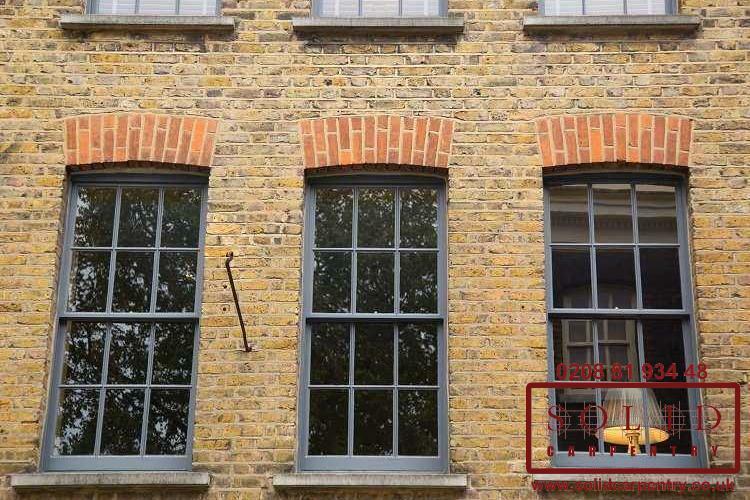 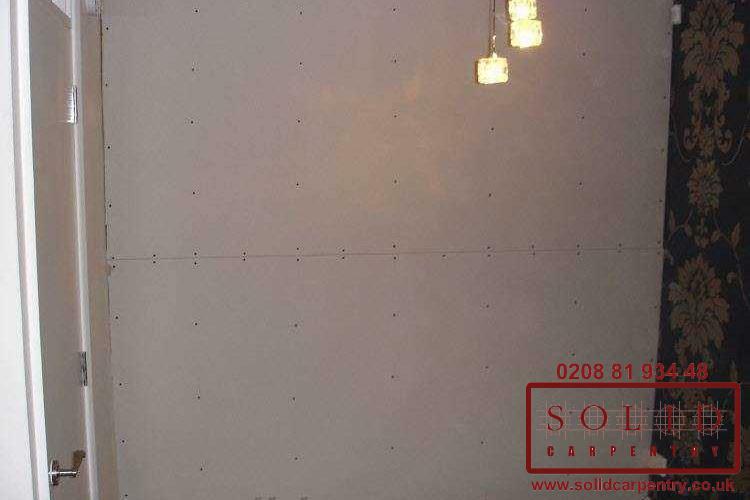 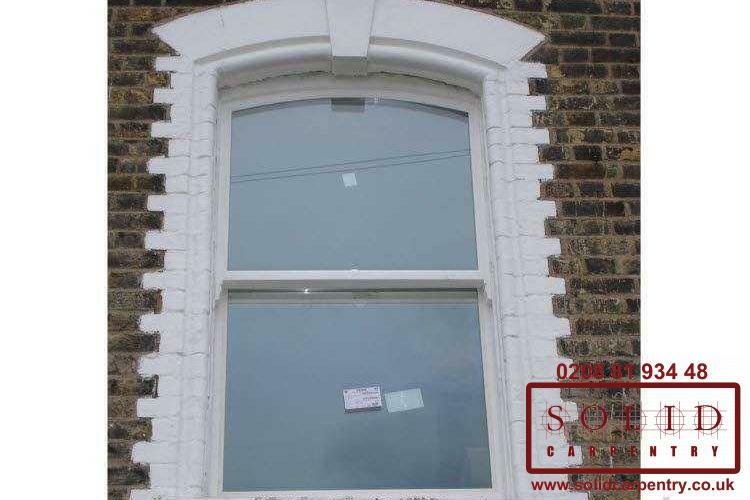 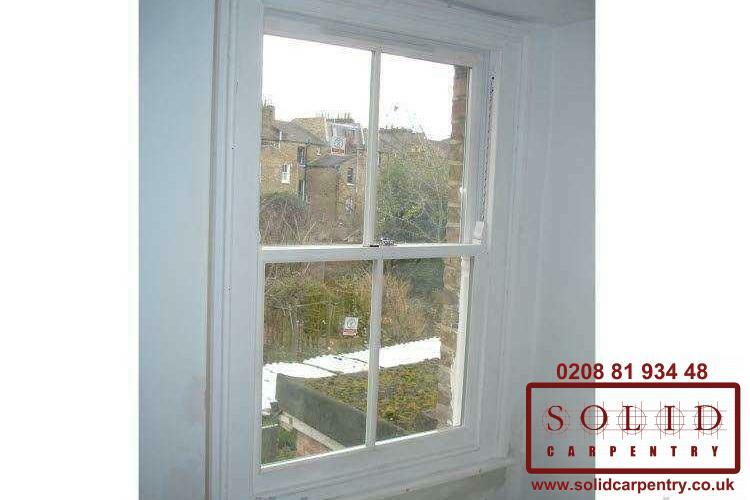 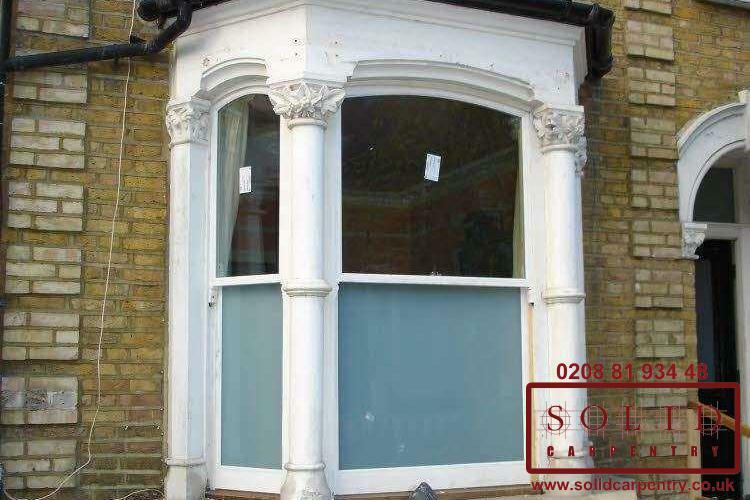 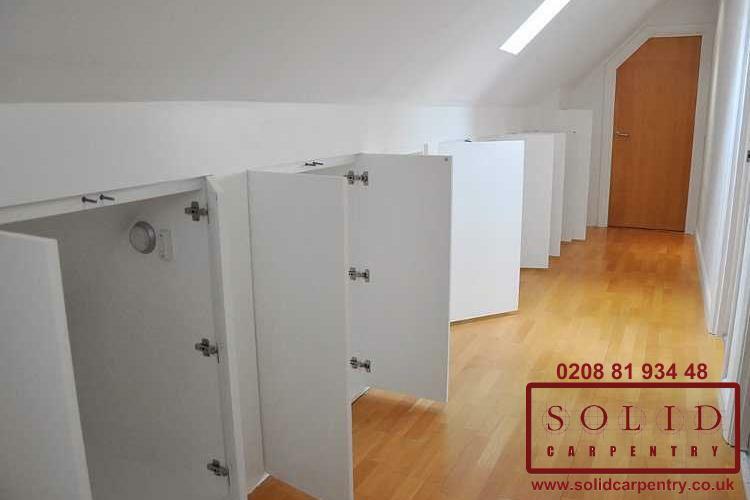 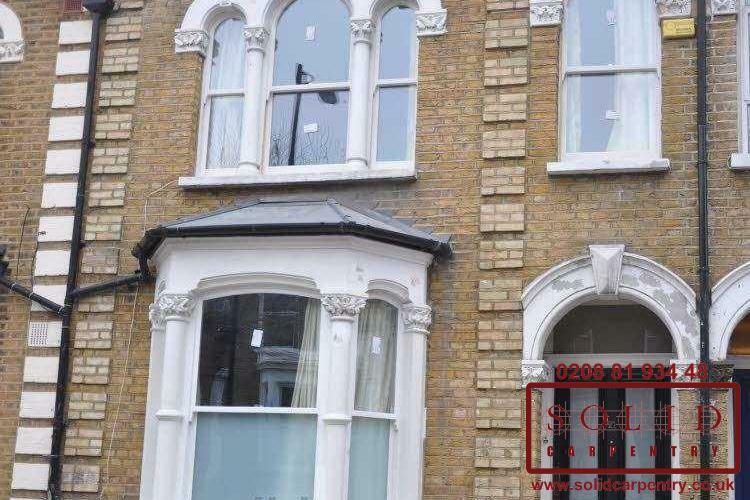 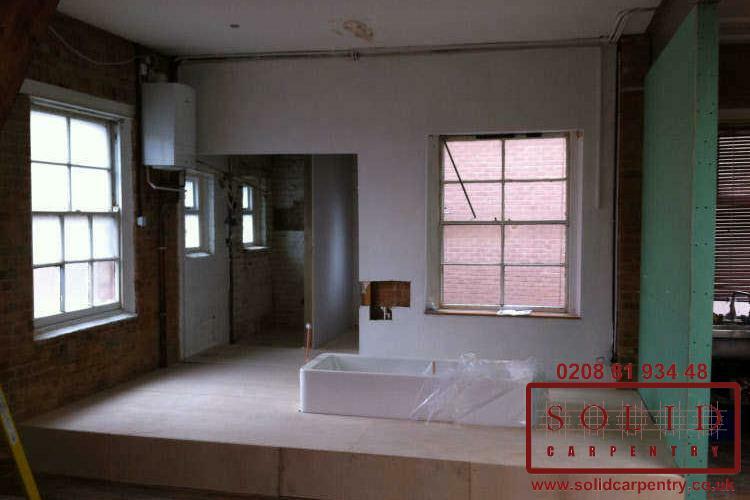 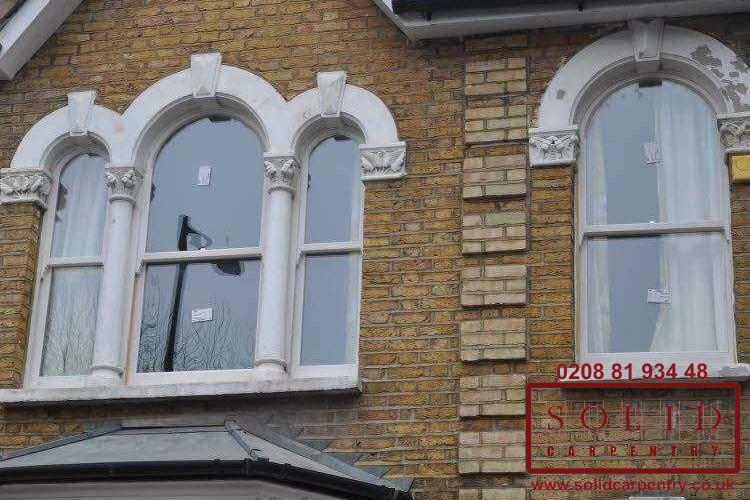 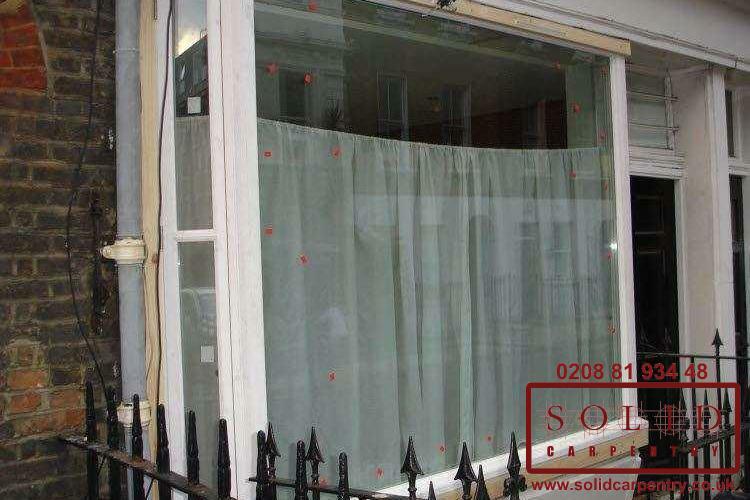 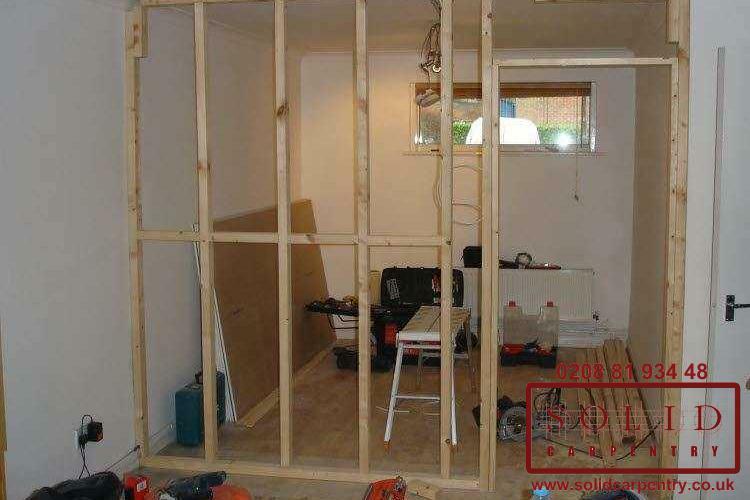 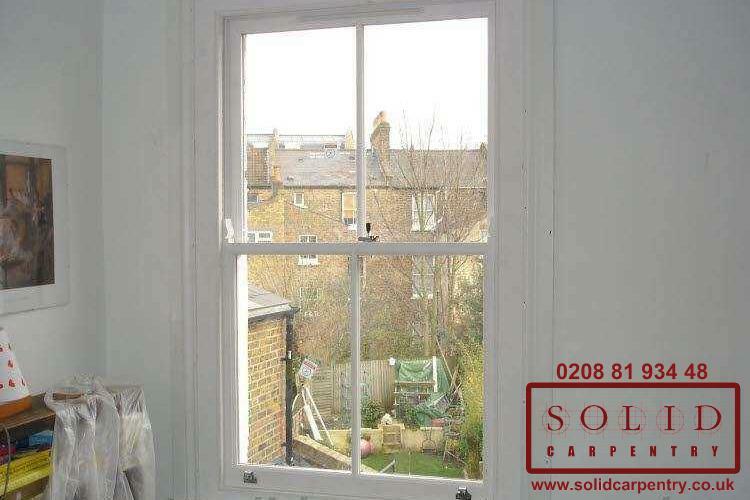 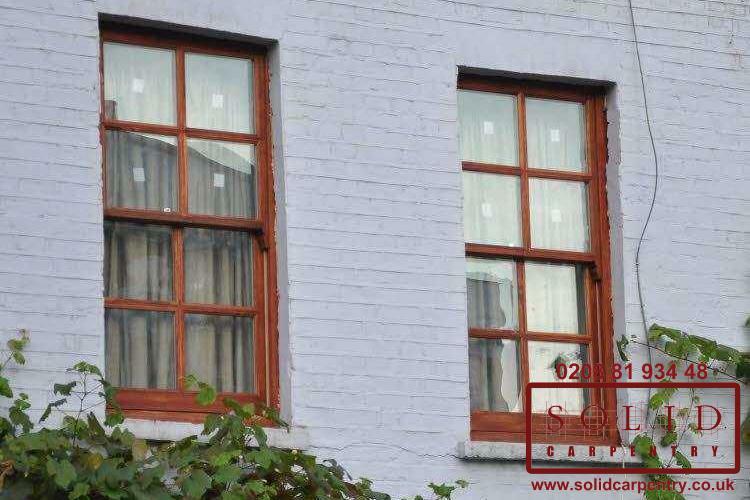 At Solid Carpentry we have been serving homes and businesses across London and surrounding areas for more than 15 years. 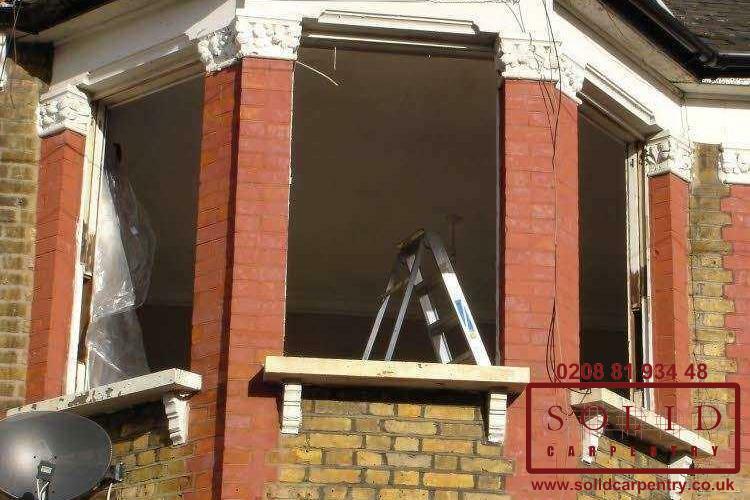 Our reputation has been built on providing a service that achieves superior end results and genuine customer satisfaction. 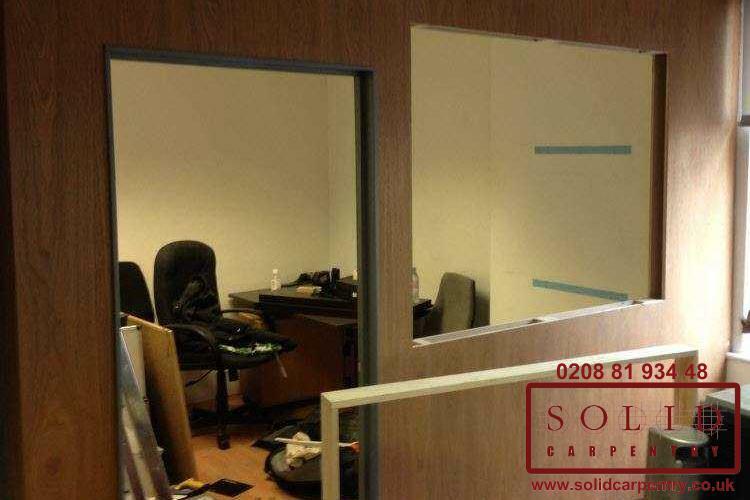 Check out our reviews to read what others have said about our work. 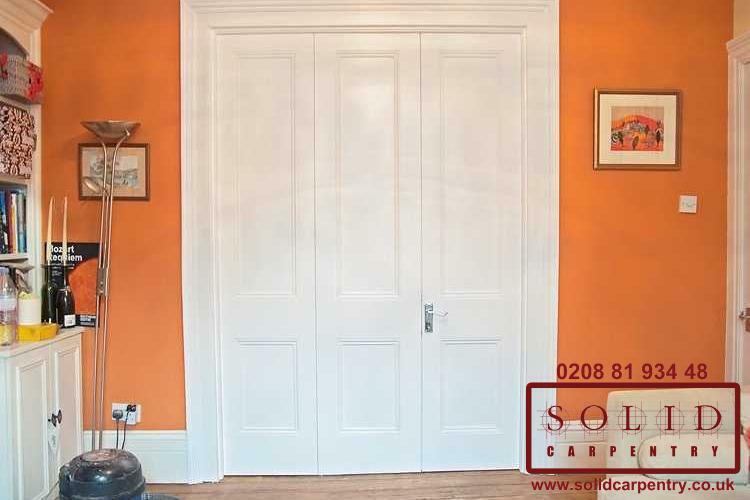 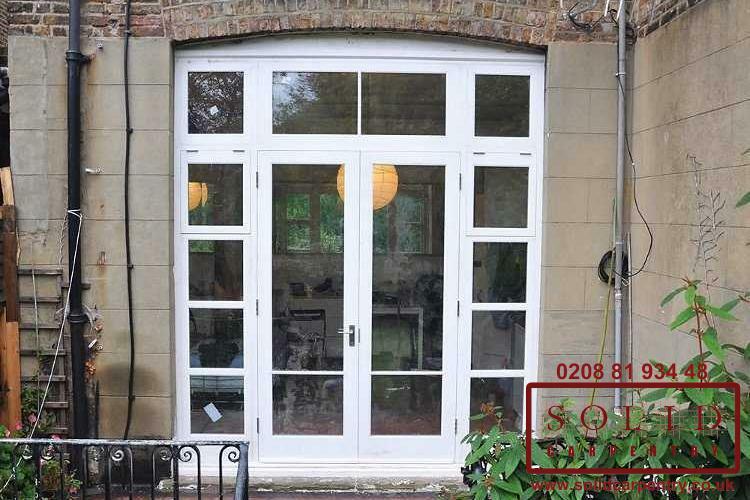 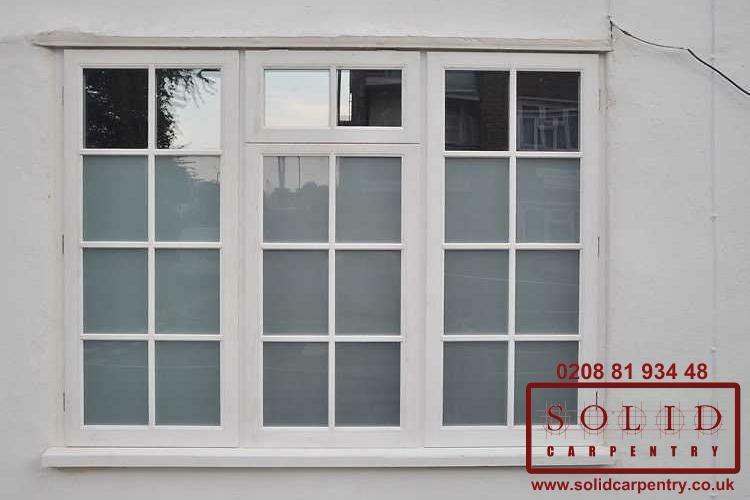 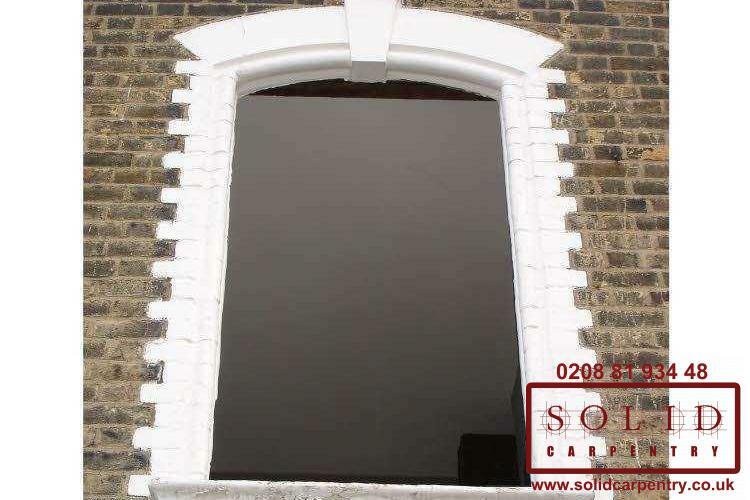 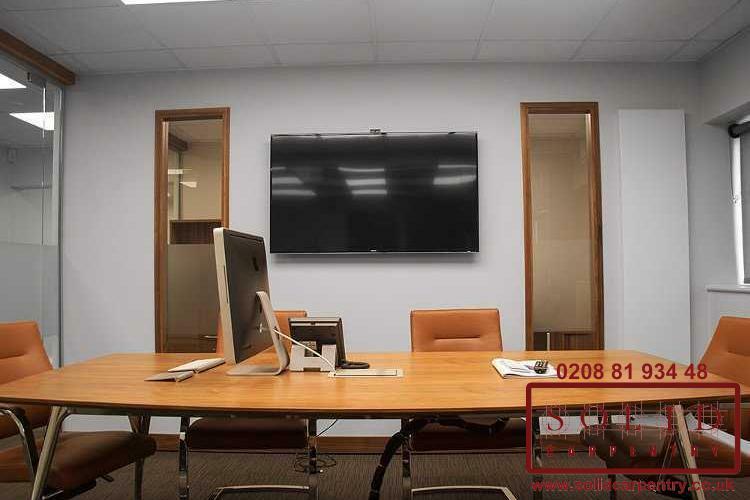 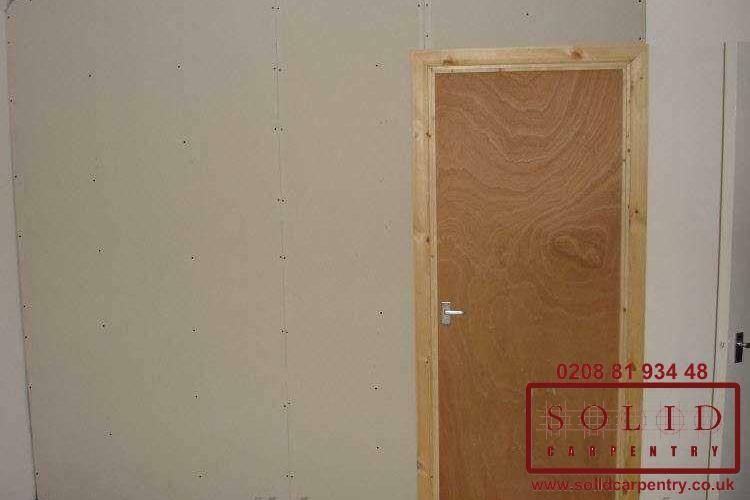 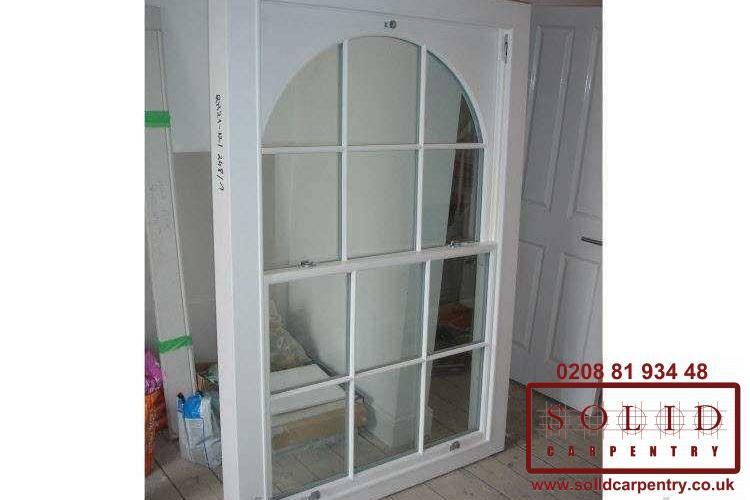 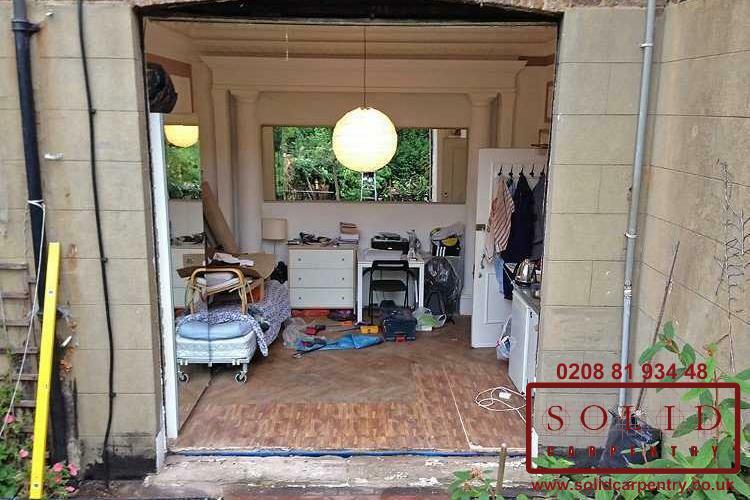 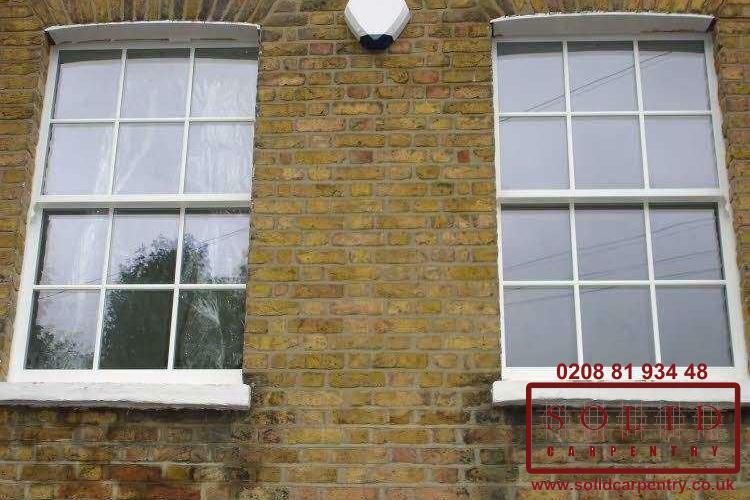 If you are looking for a new front or internal door in London or the surrounding areas, contact us today or call 020 8819 3448 now for a free, no-obligation service quote.